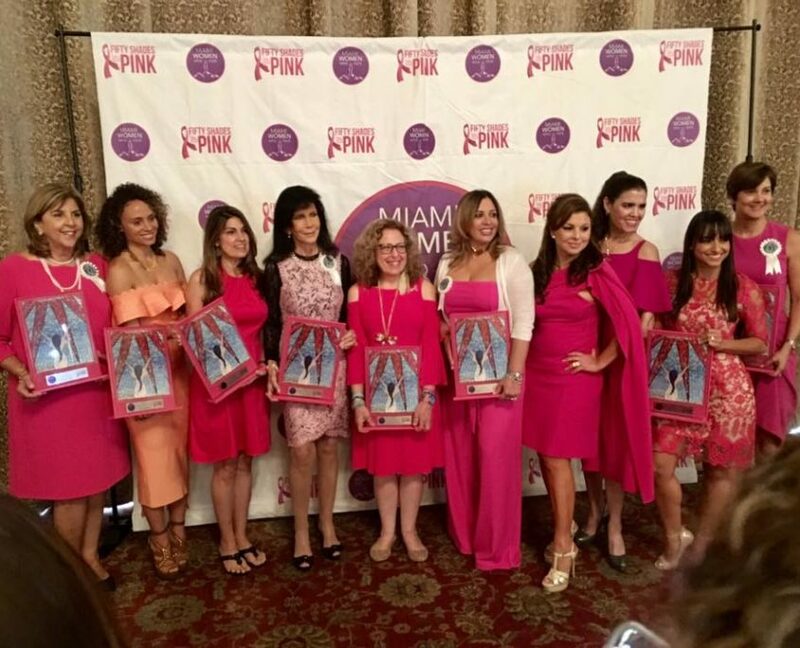 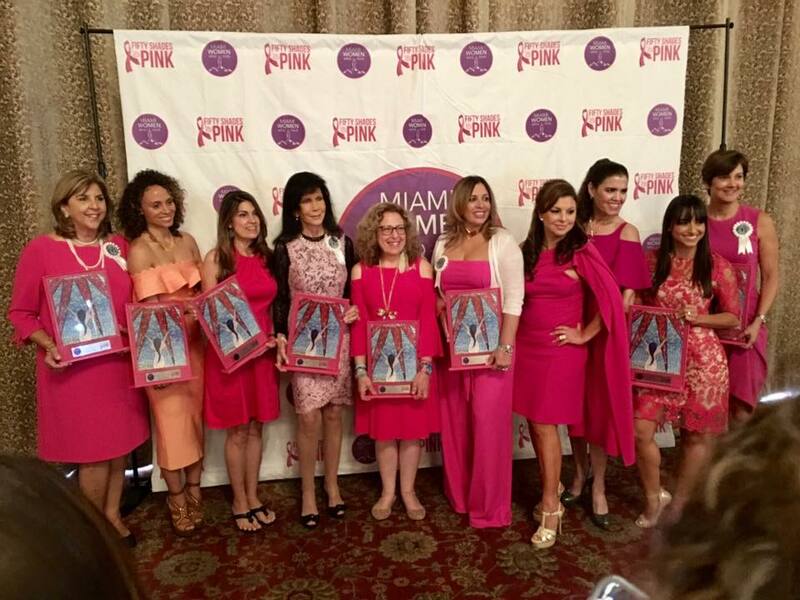 September 20, 2018 was the 5th Annual Miami Women Who Rock “Fifty Shades of Pink” Awards Luncheon to benefit Day of Caring, at the Biltmore Hotel, in Coral Gables, Florida. 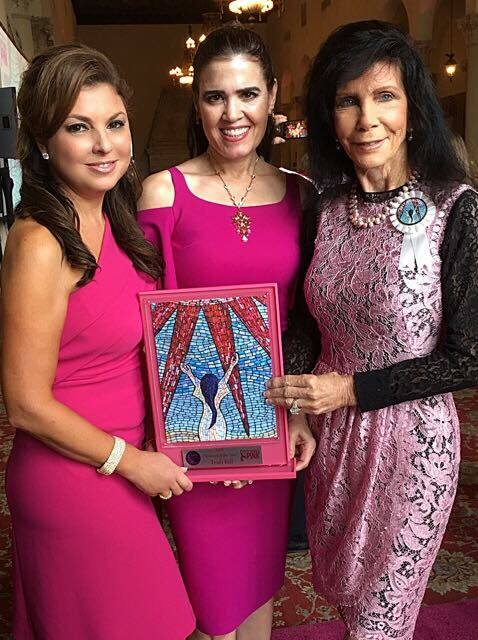 Congratulations to all the 2018 Honorees, on your Miami Women Who Rock, Jackie Gran Mosaic Award! 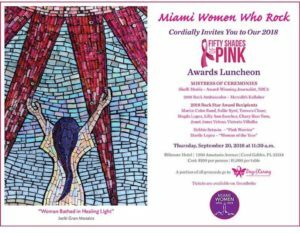 It was an amazing experience for me to have received this award in 2017 and I commend all of you for your leadership in the Miami community! 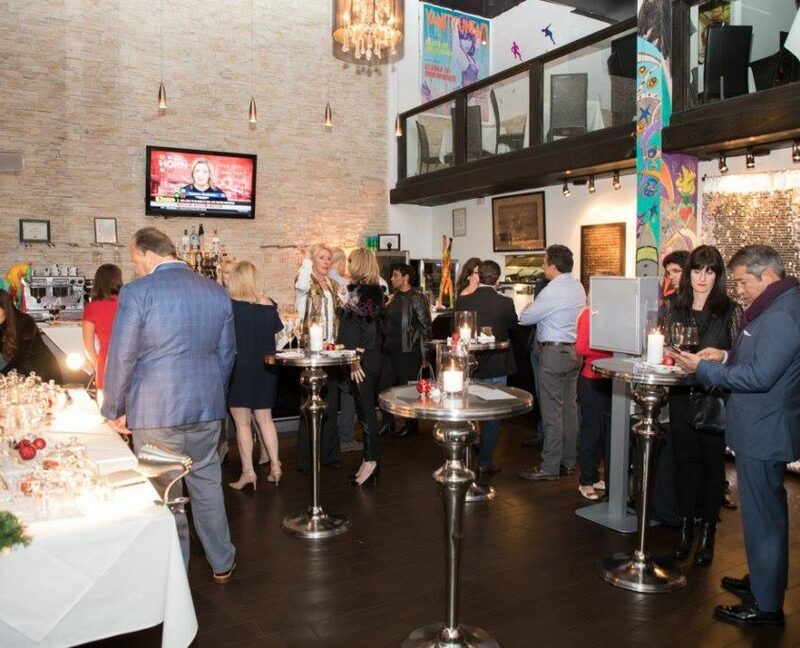 Click on the invitation below to be redirected the the Facebook album with more photos! 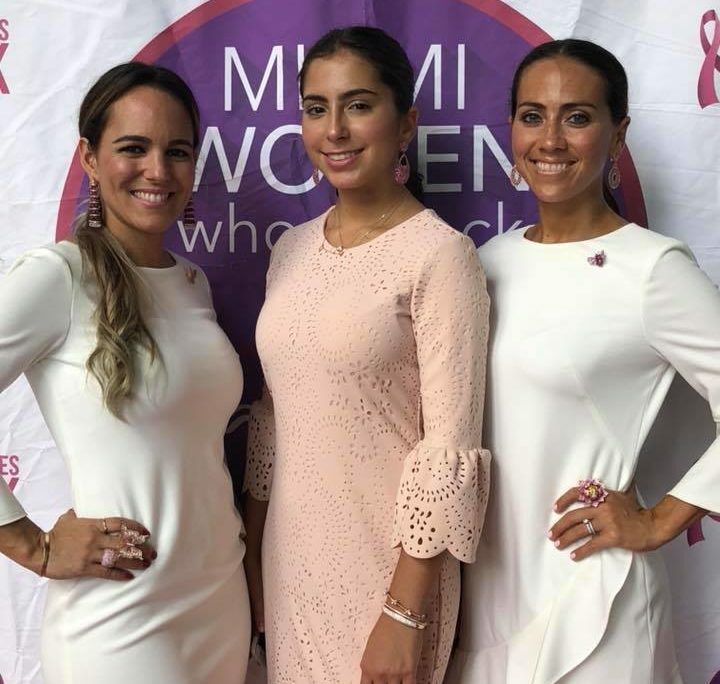 Click here to learn more about the Miami Women Who Rock group! 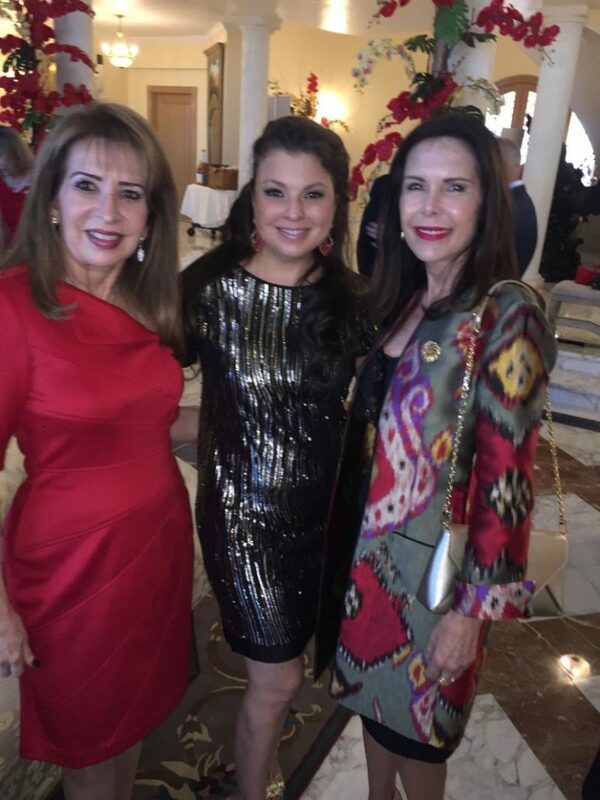 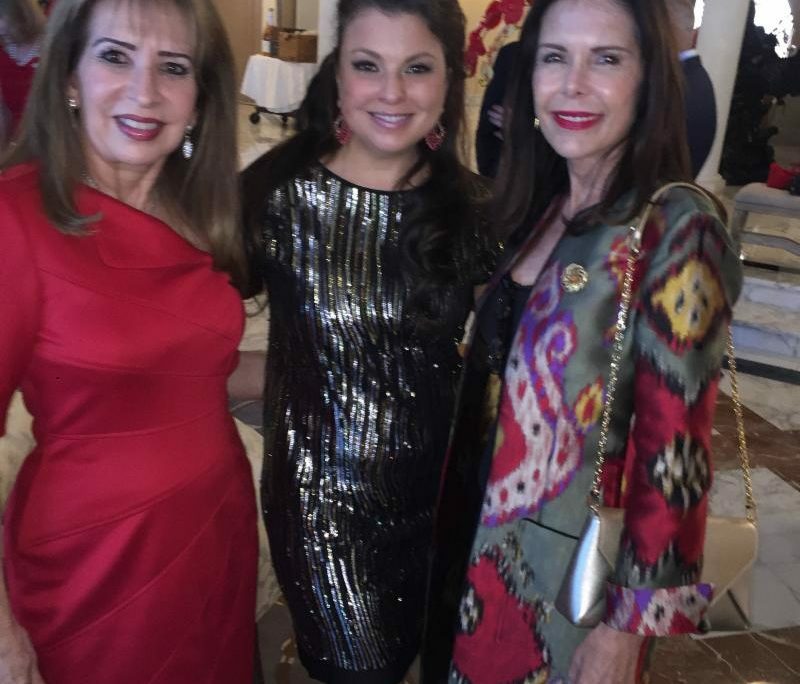 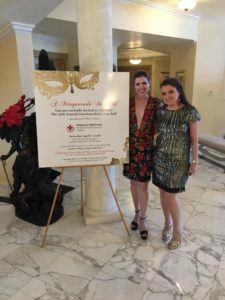 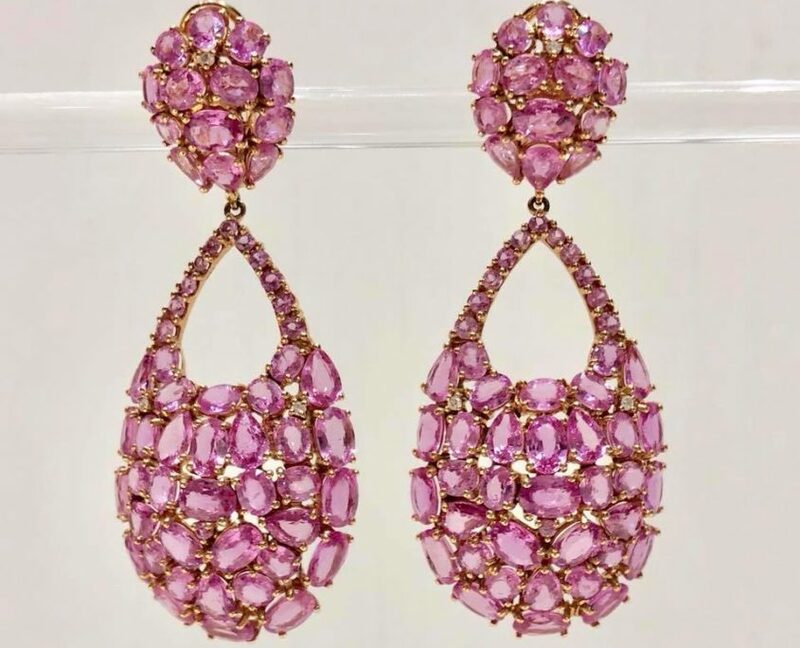 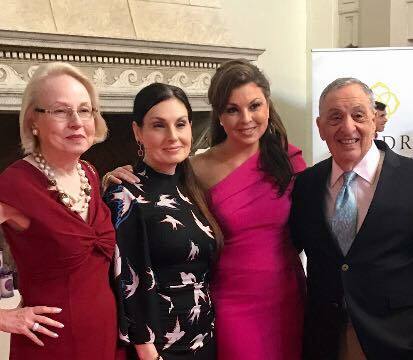 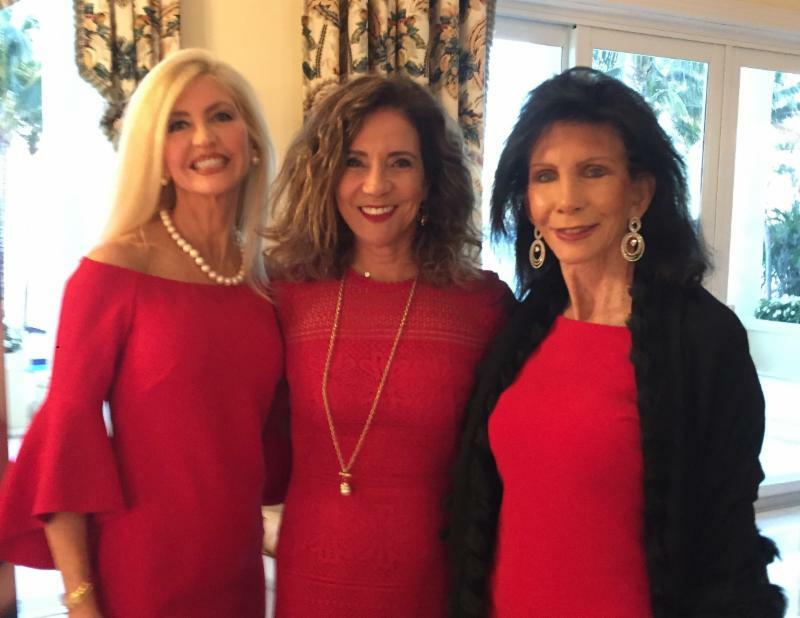 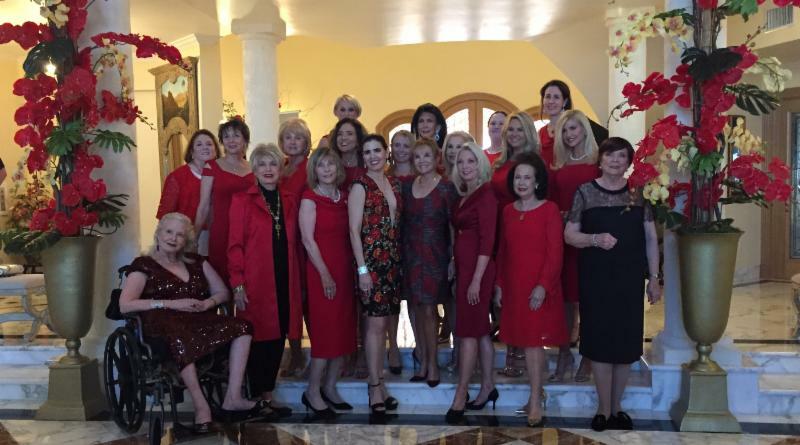 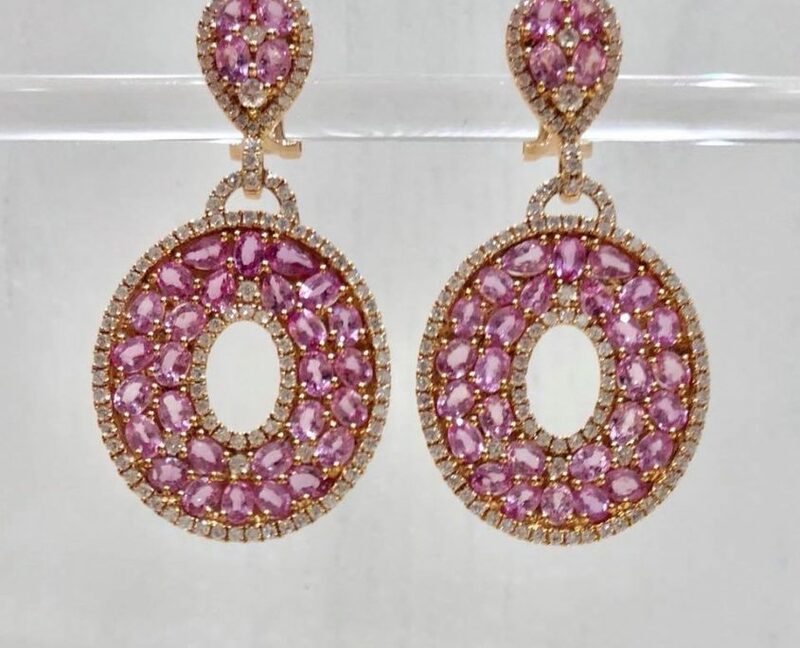 On March 15, 2018, there was a American Red Cross Ball Kickoff Cocktail Reception & Special Fine Jewelry Shopping Event to Benefit the American Red Cross American at the home of Ana & Cecil Milton, in Coral Estates, Florida. 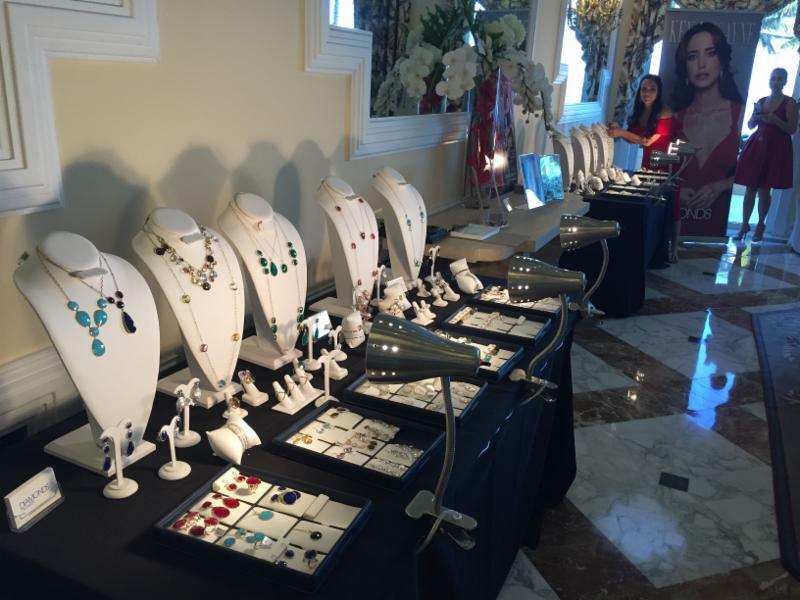 Through the generosity & support of those who attended, fine jewelry purchases at the event raised $7,500 towards the American Red Cross! 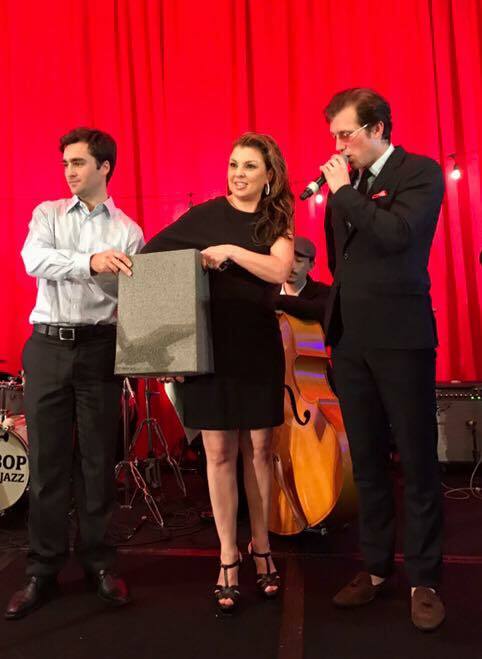 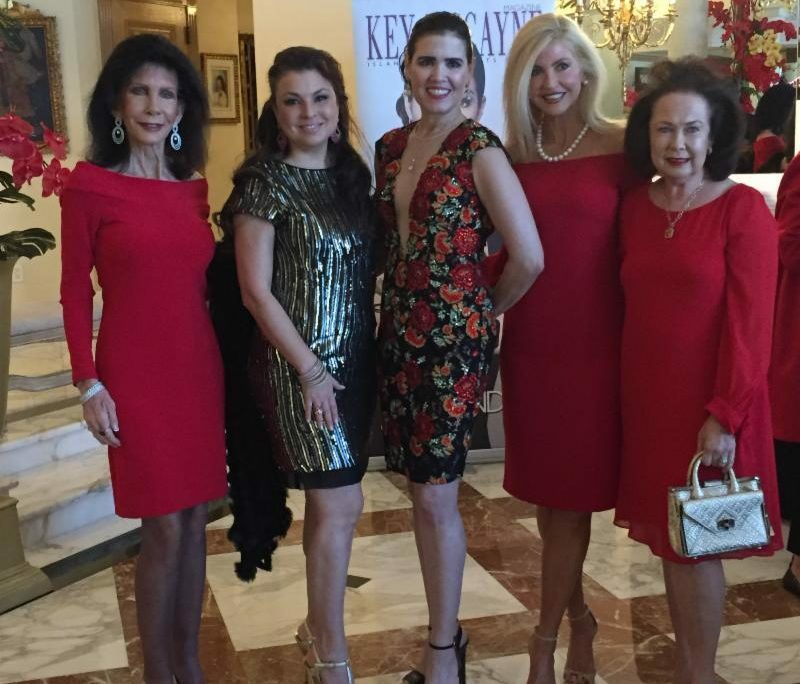 It was a wonderful evening, for an amazing cause! 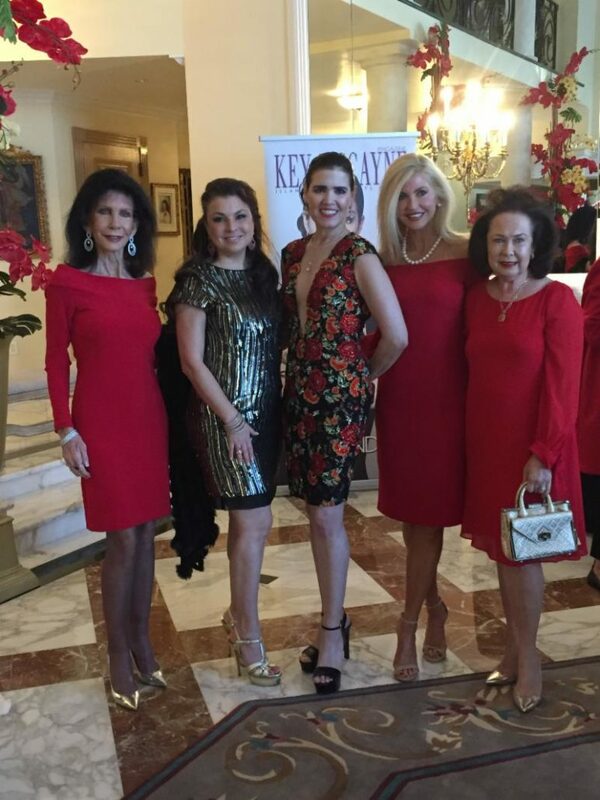 Sunday, February 11, 2018 at the Ritz-Carolton Key Biscayne to benefit the United Way. 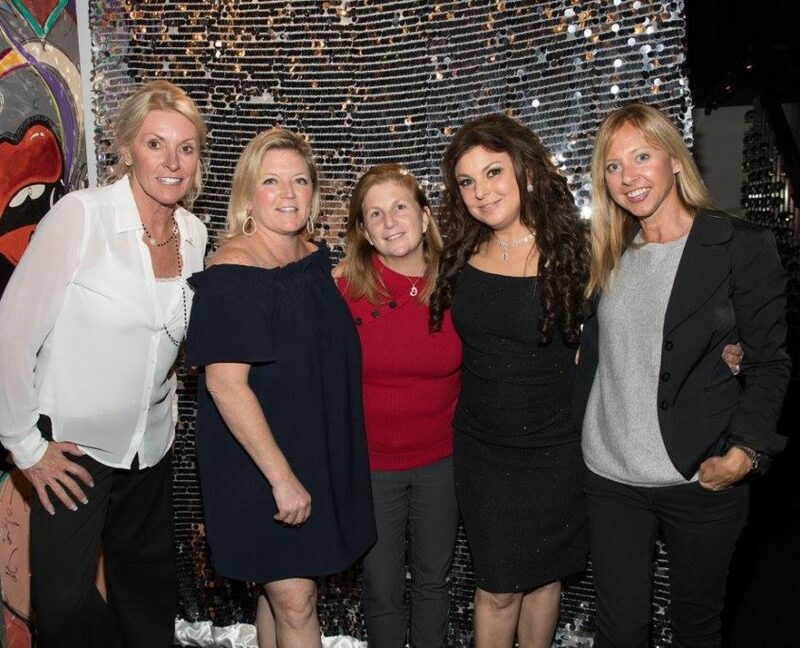 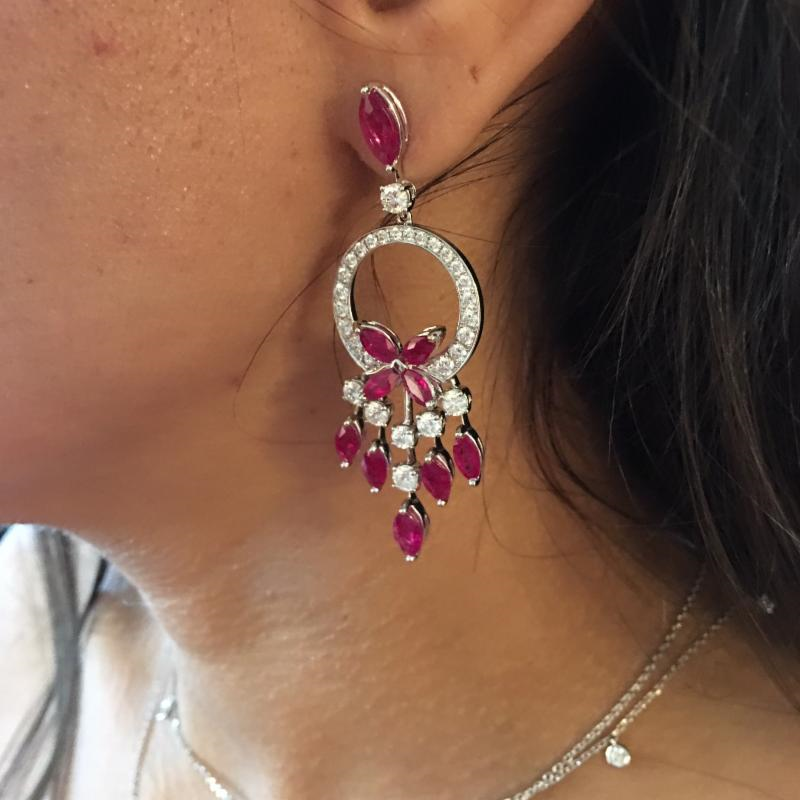 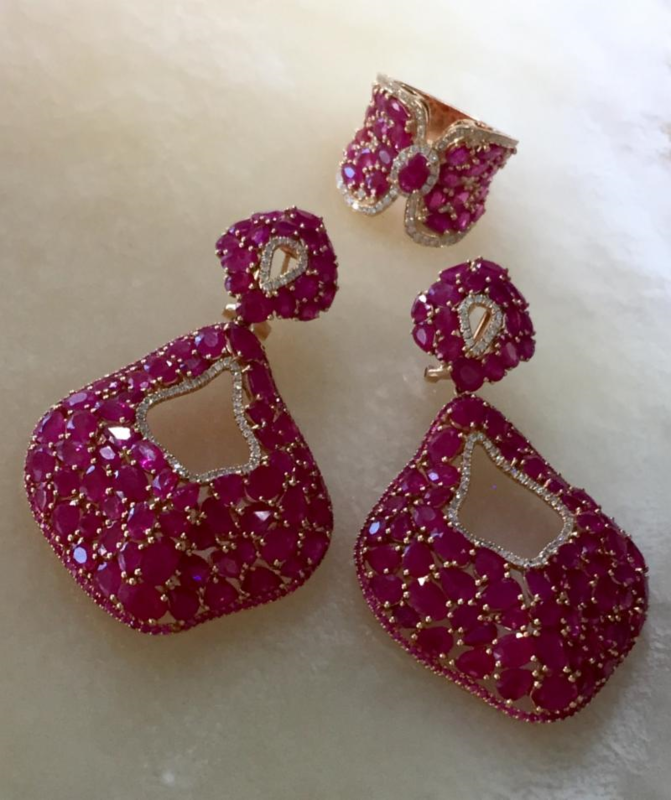 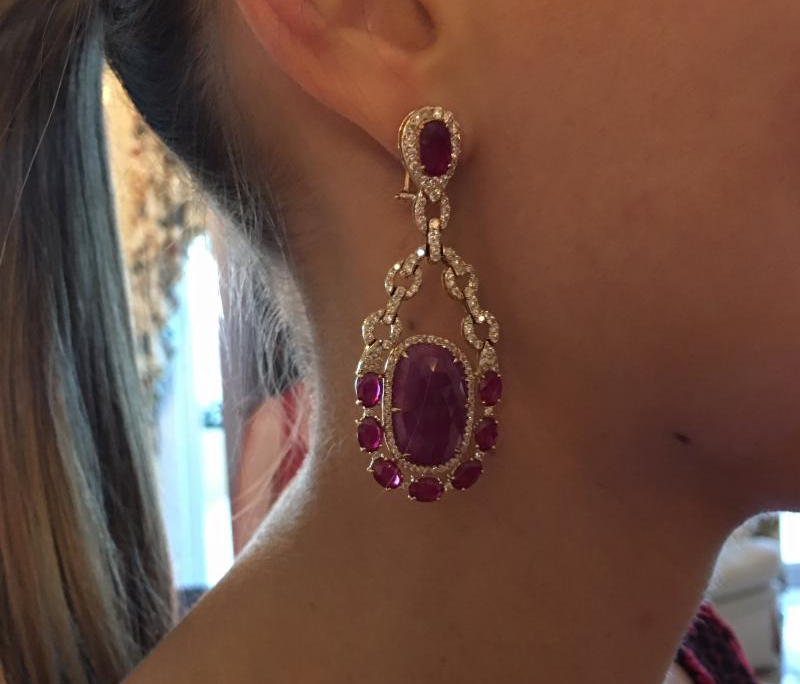 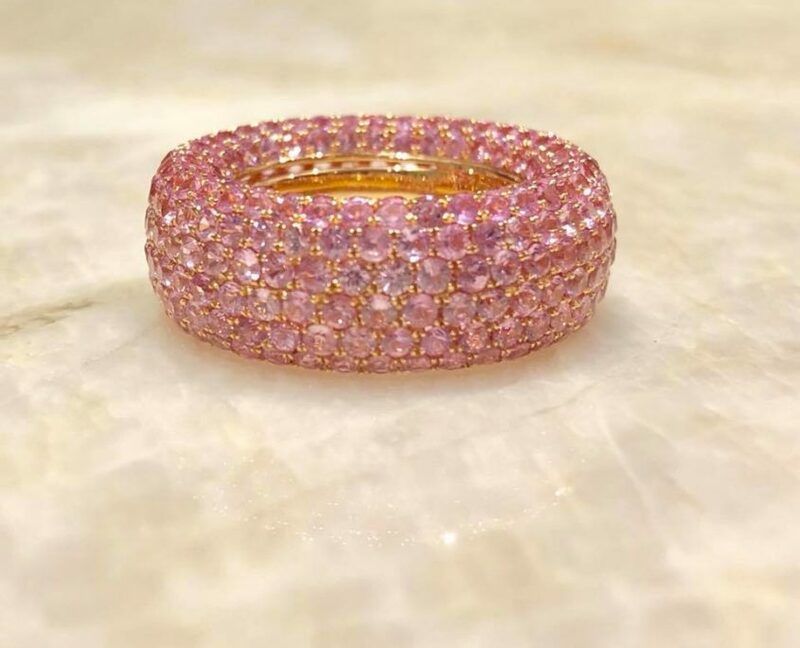 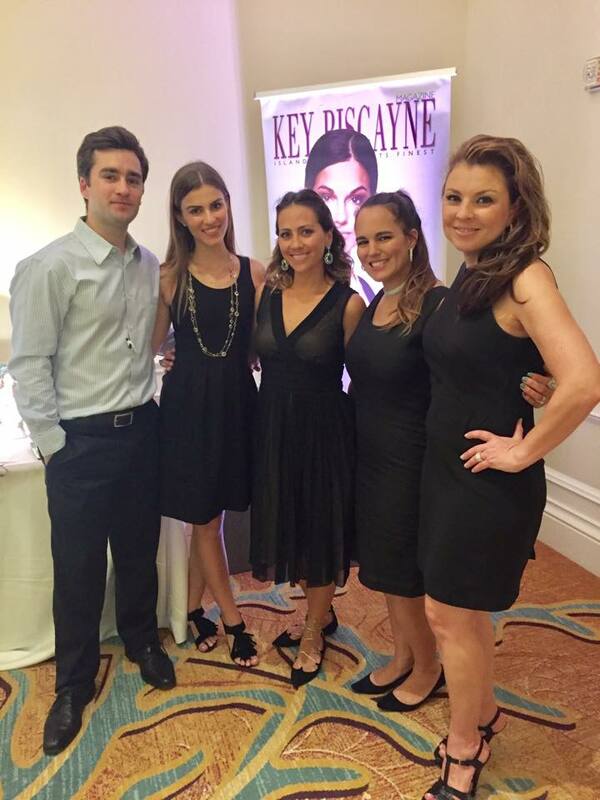 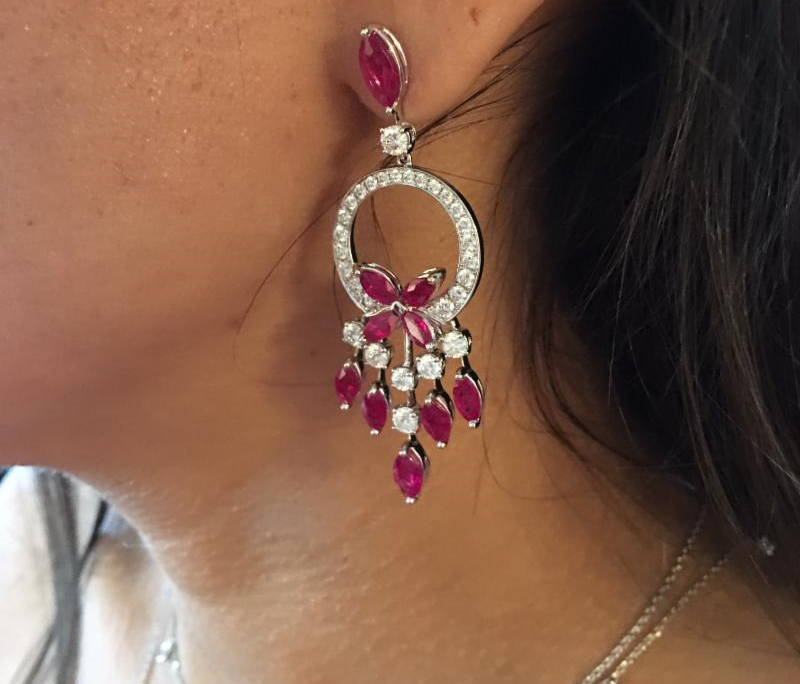 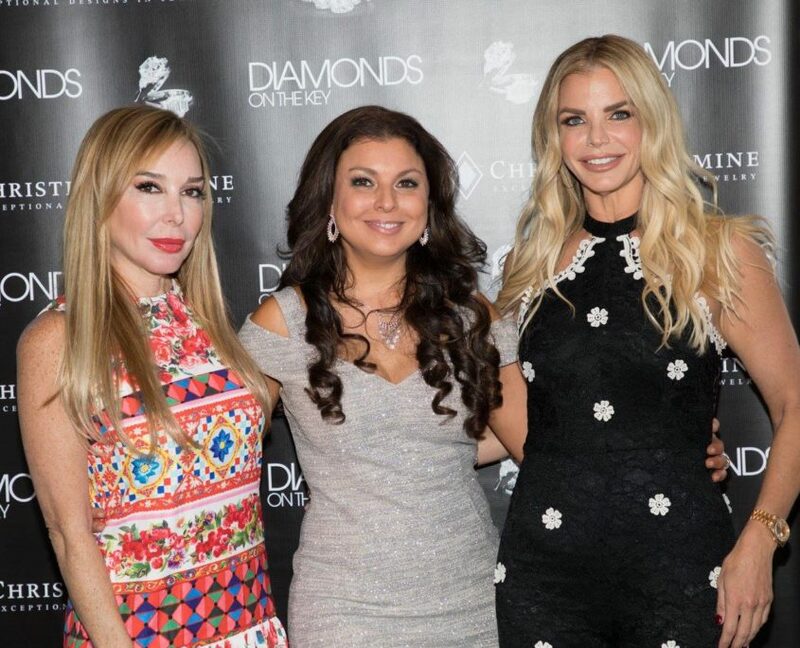 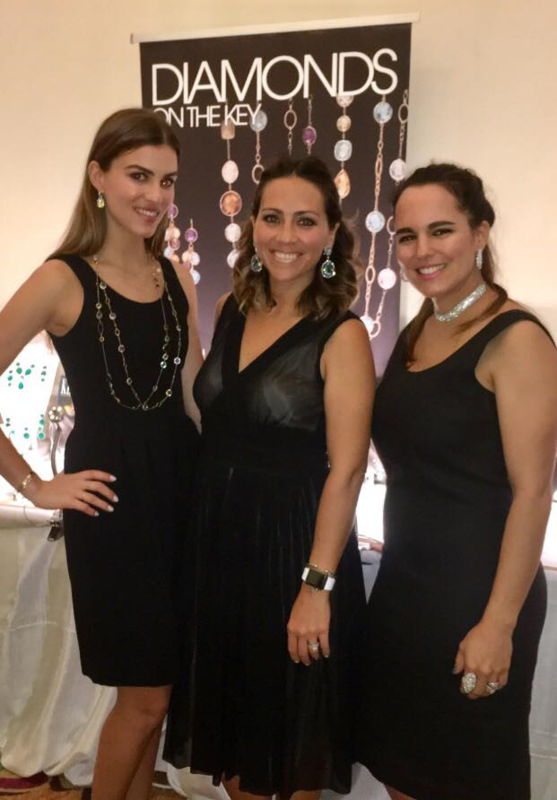 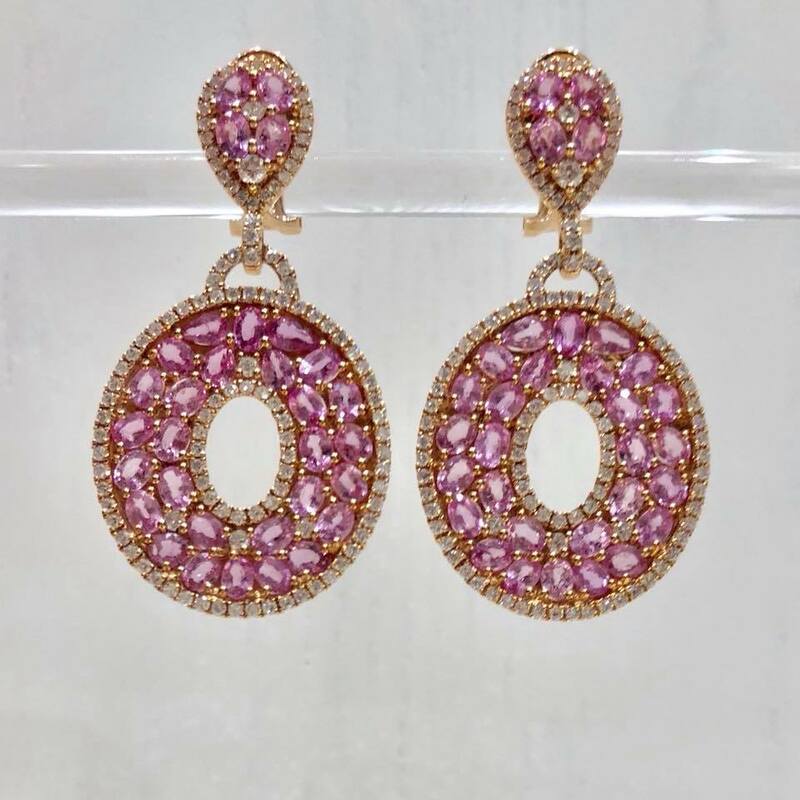 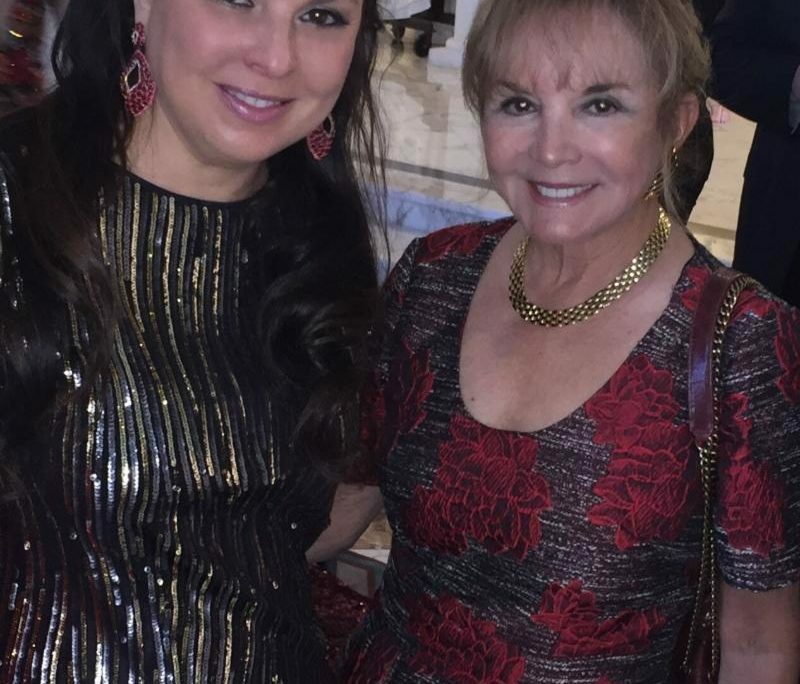 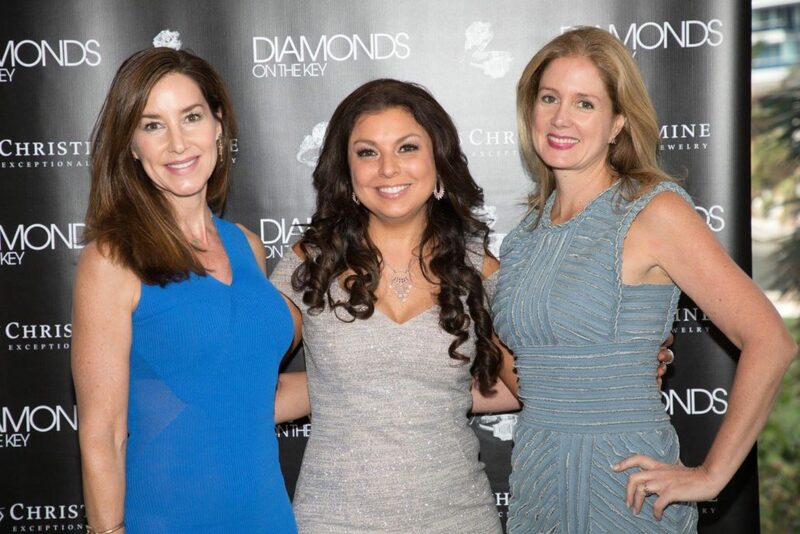 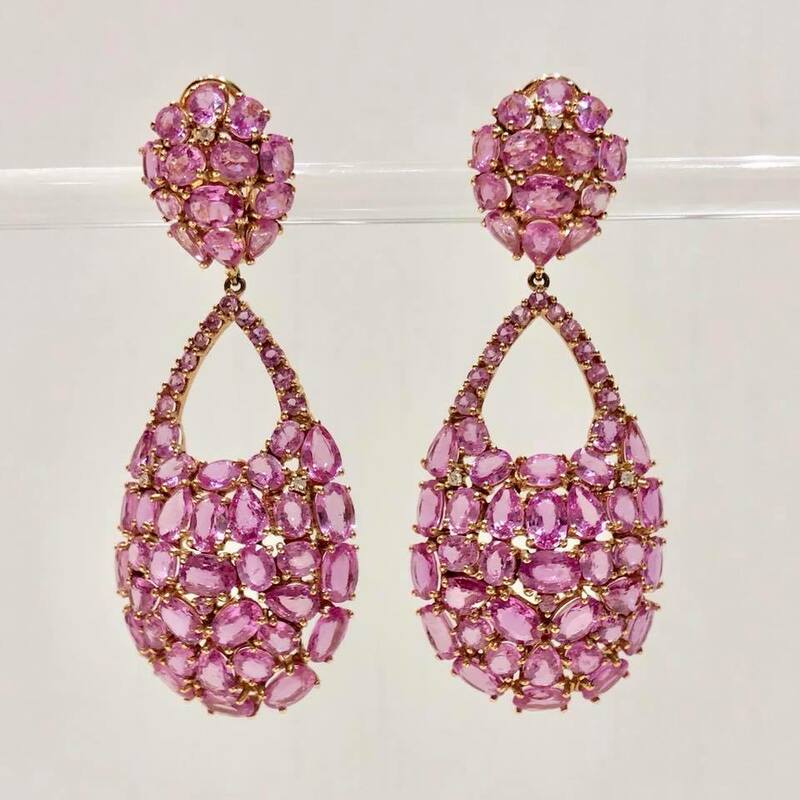 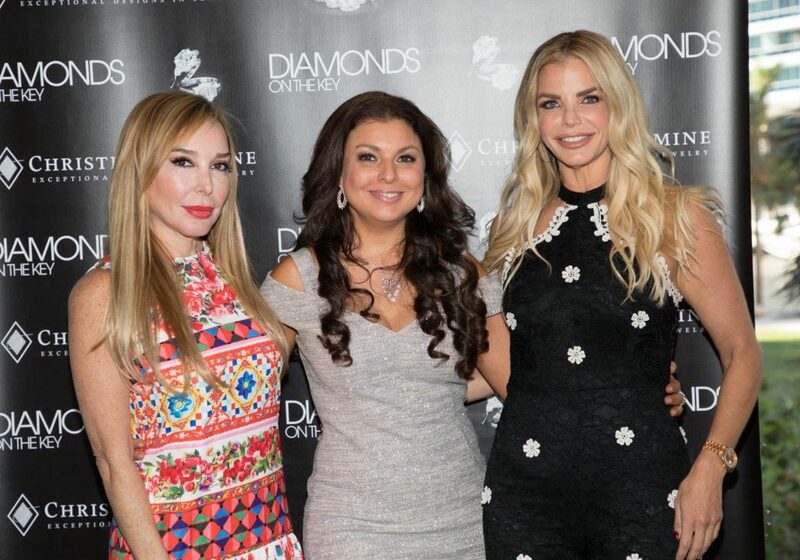 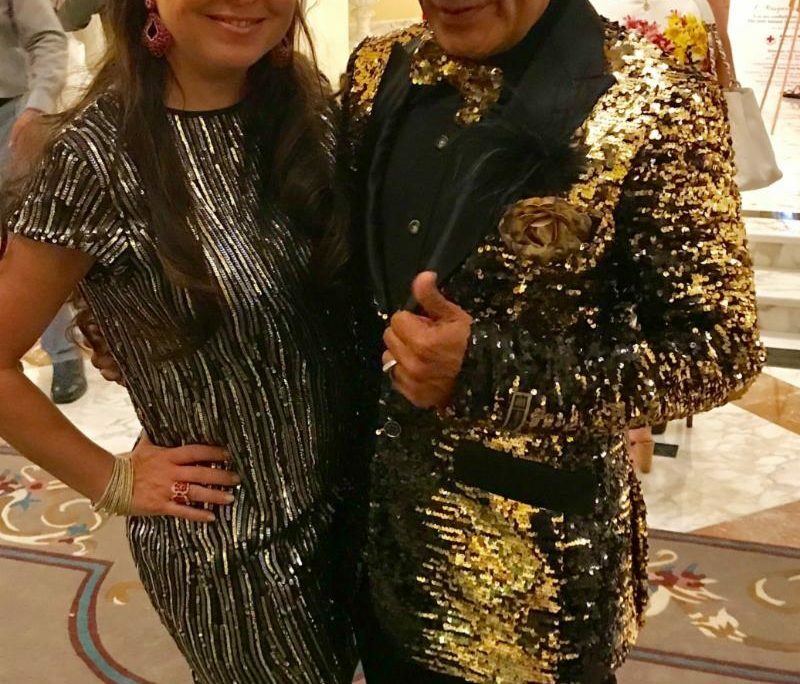 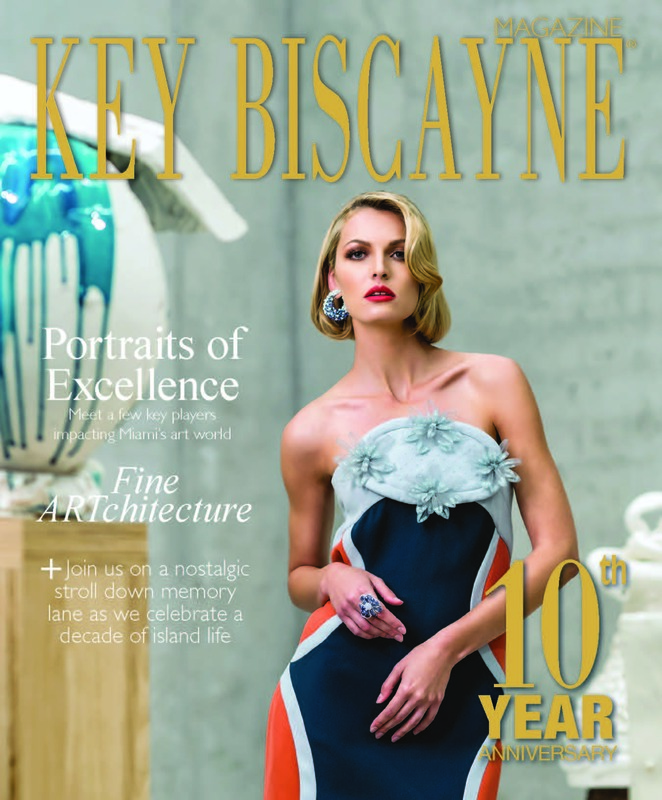 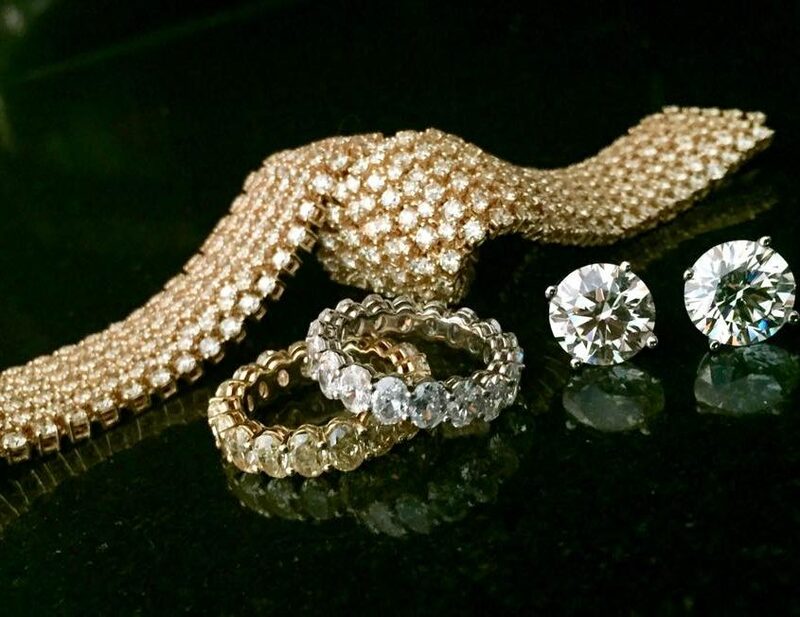 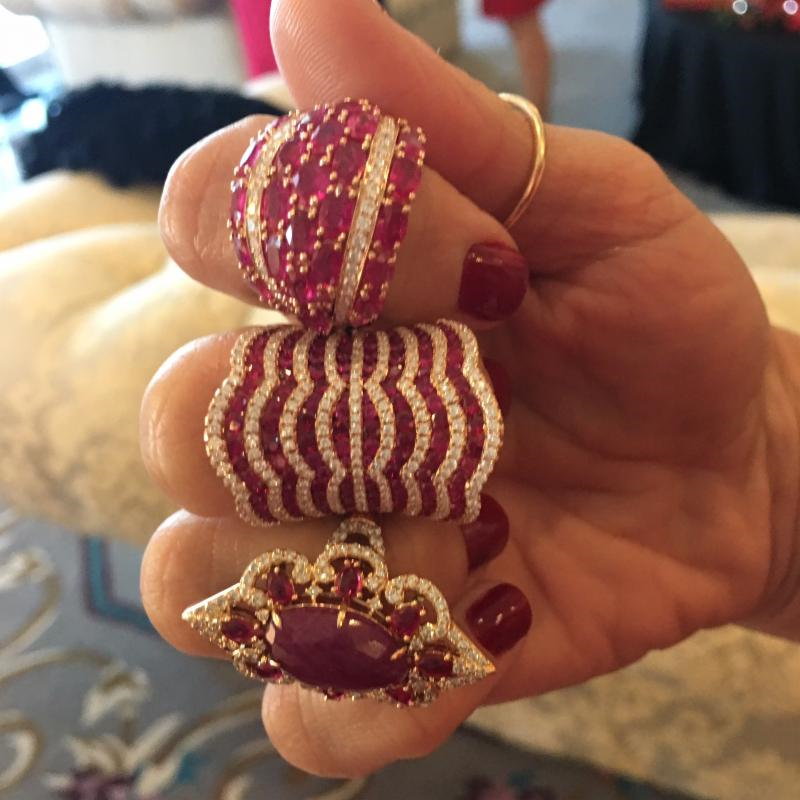 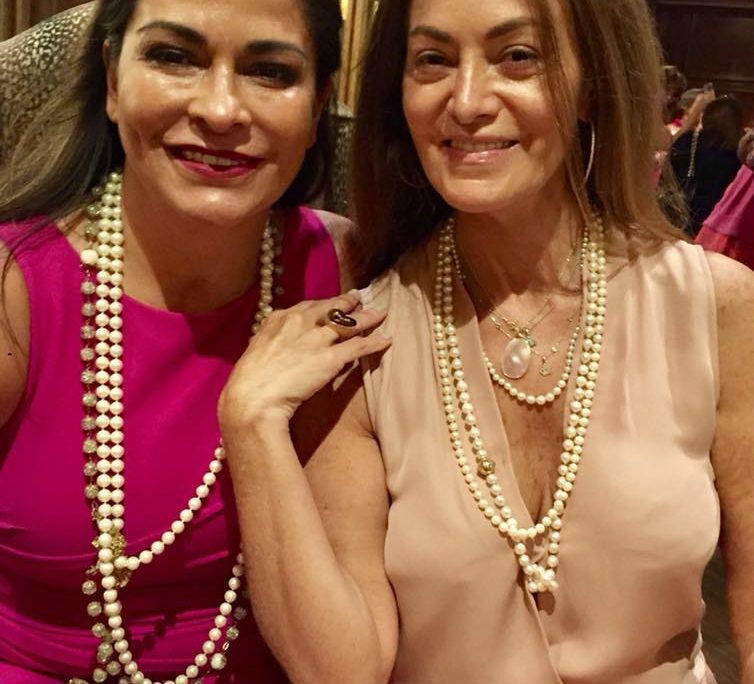 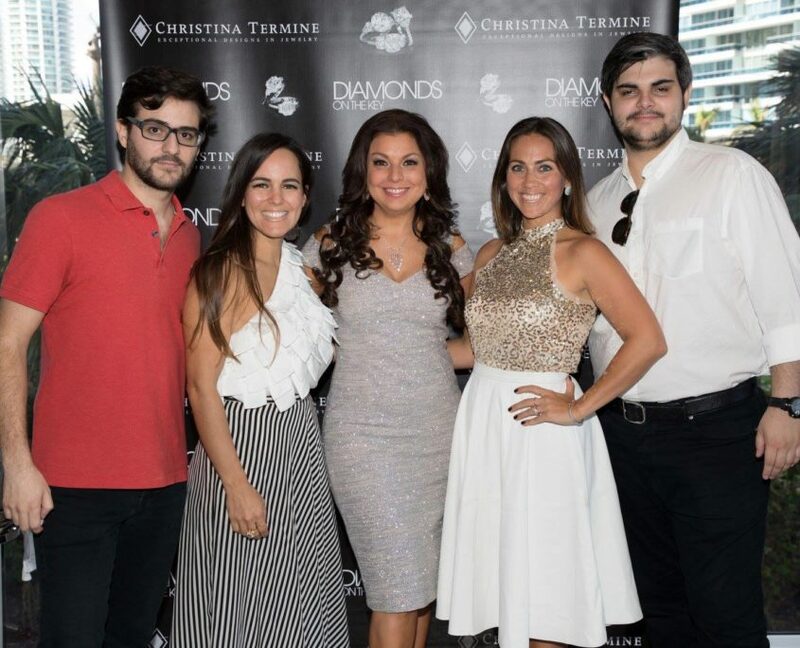 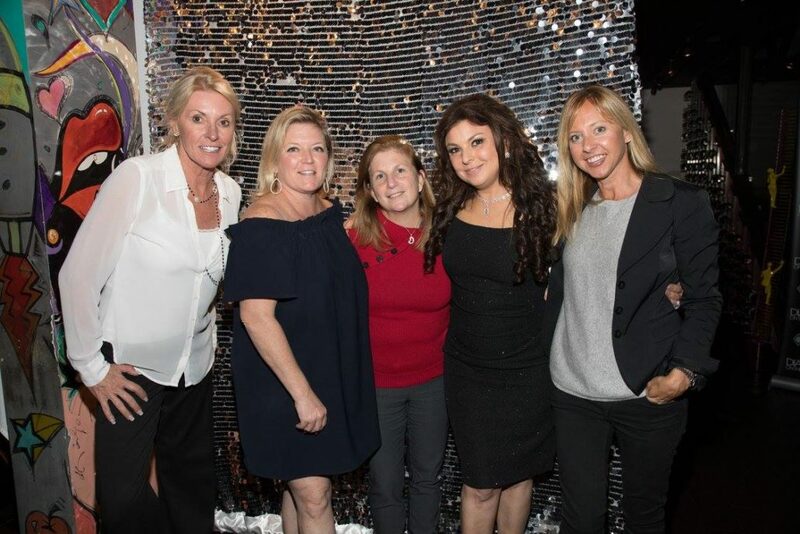 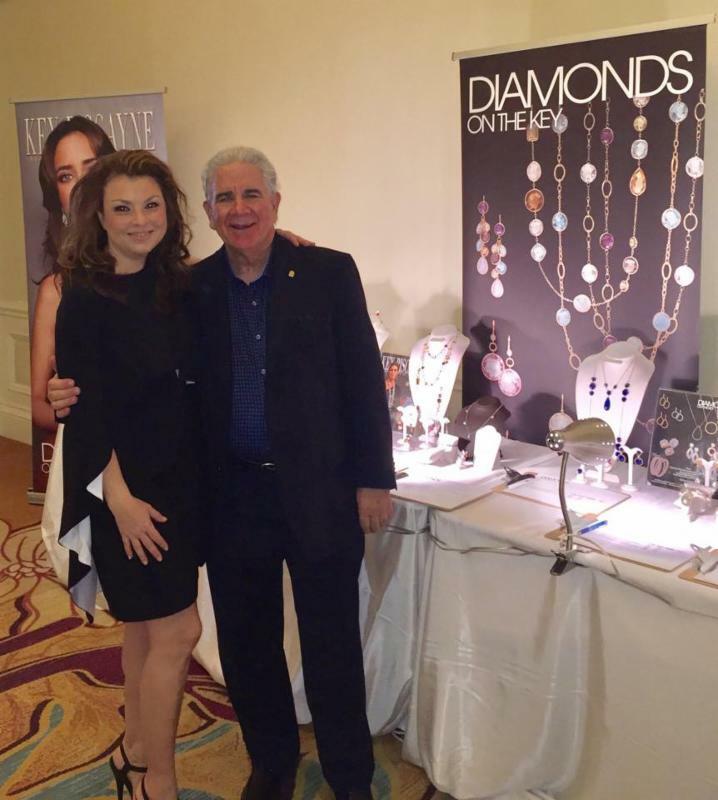 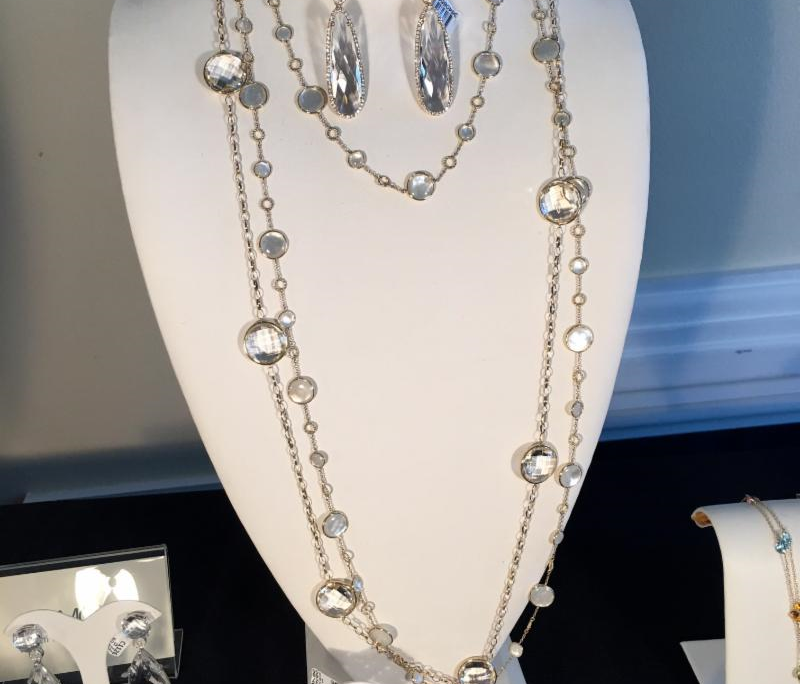 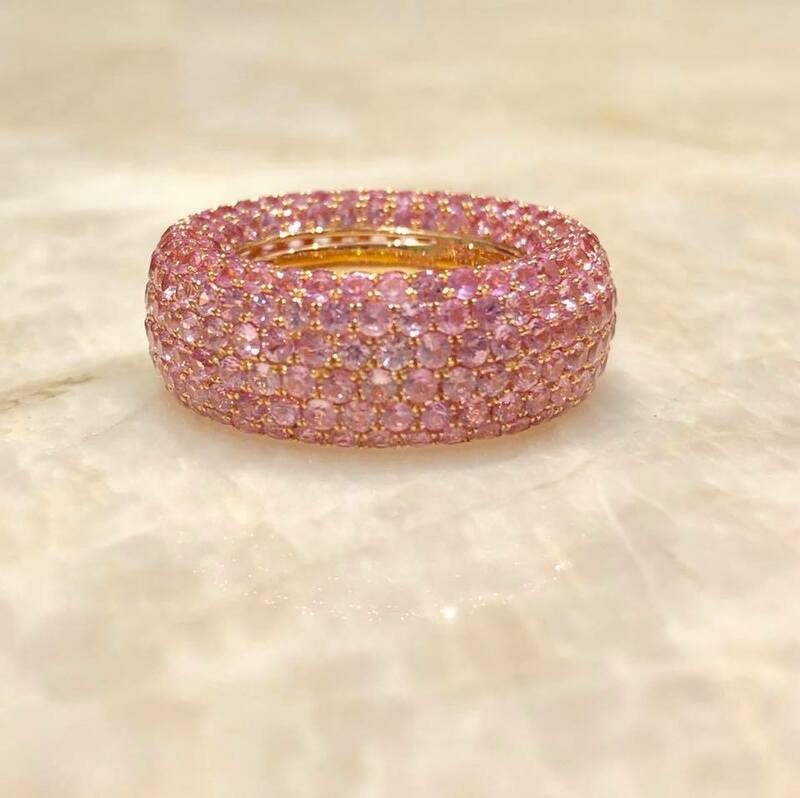 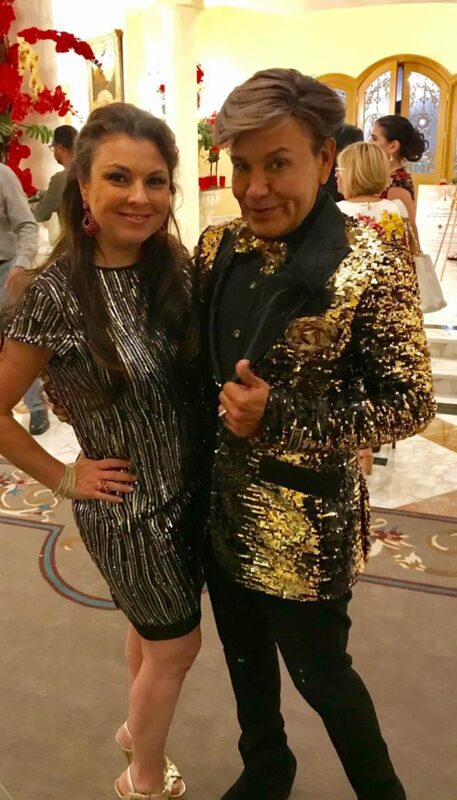 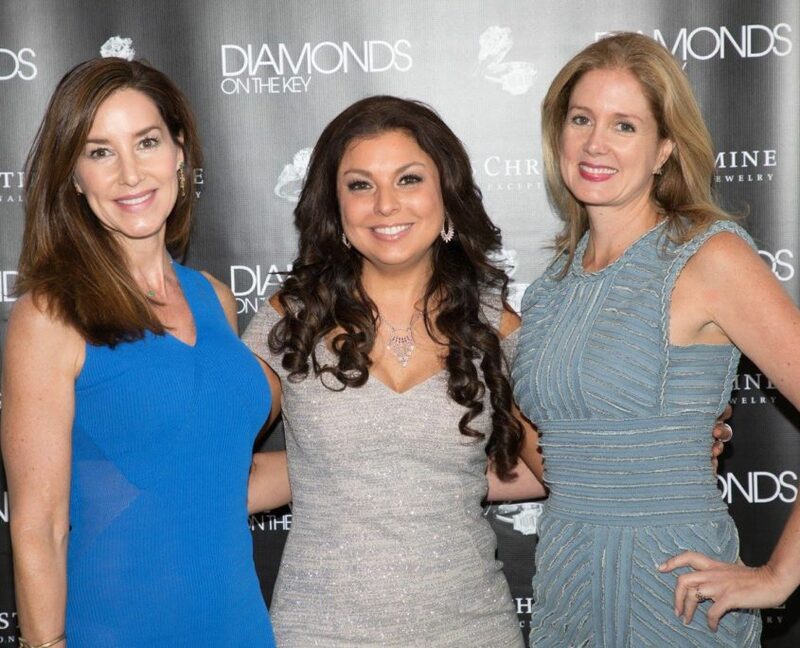 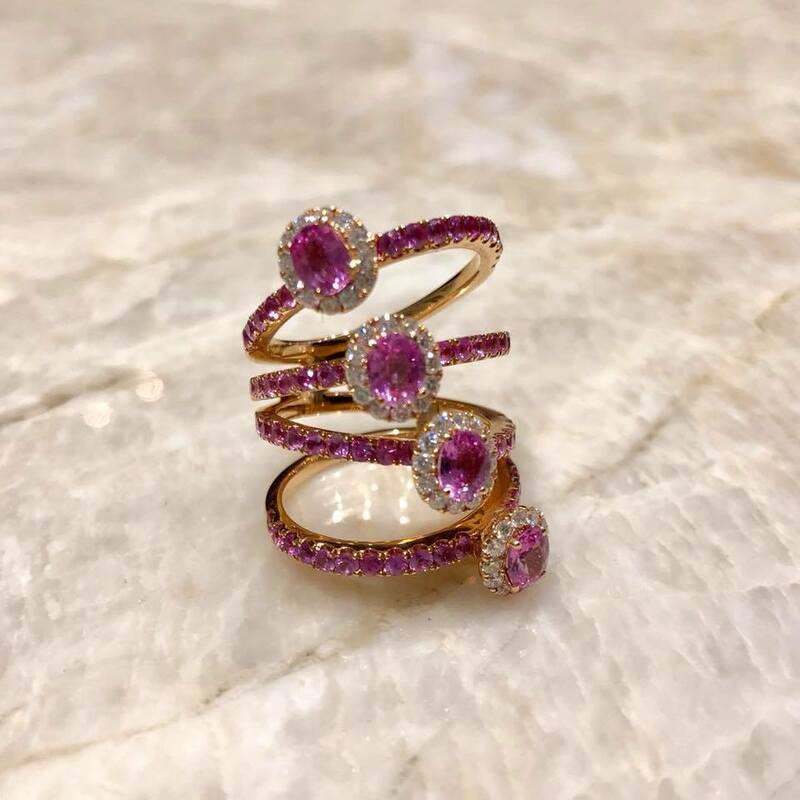 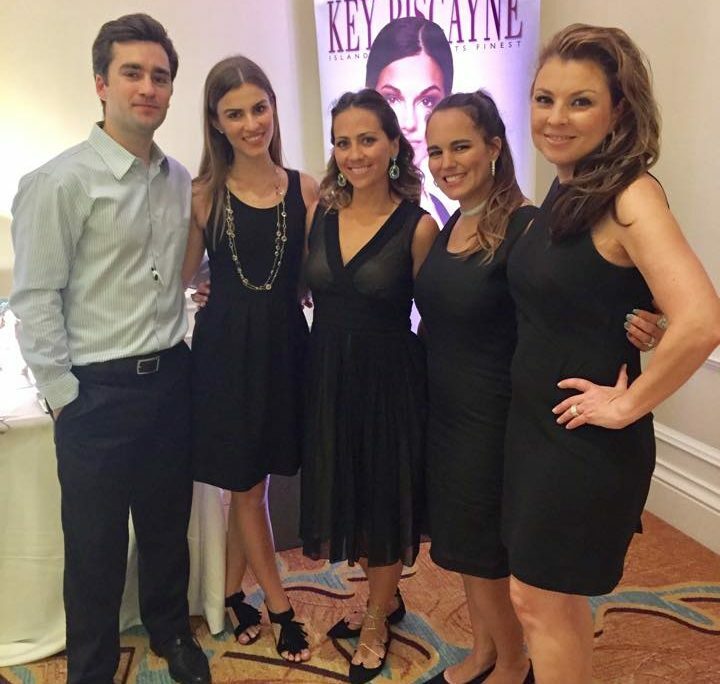 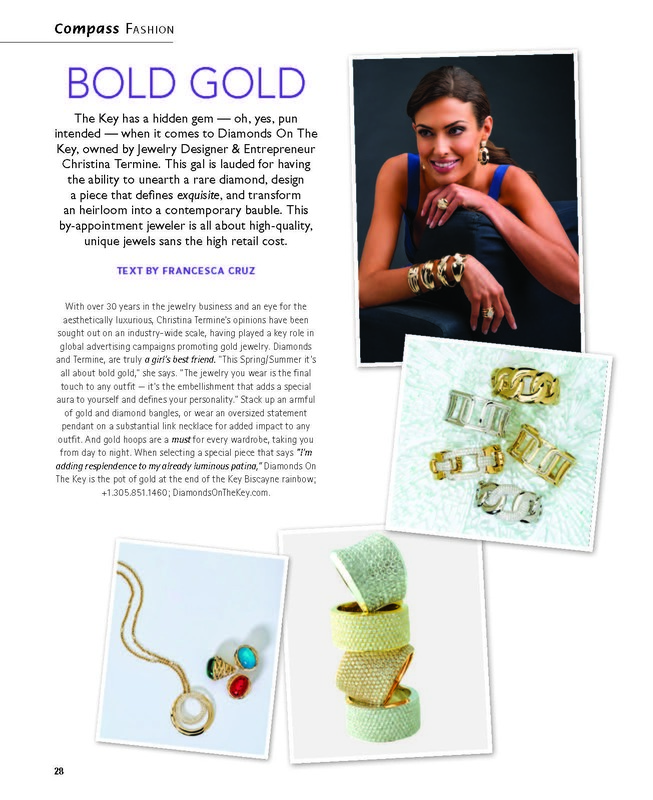 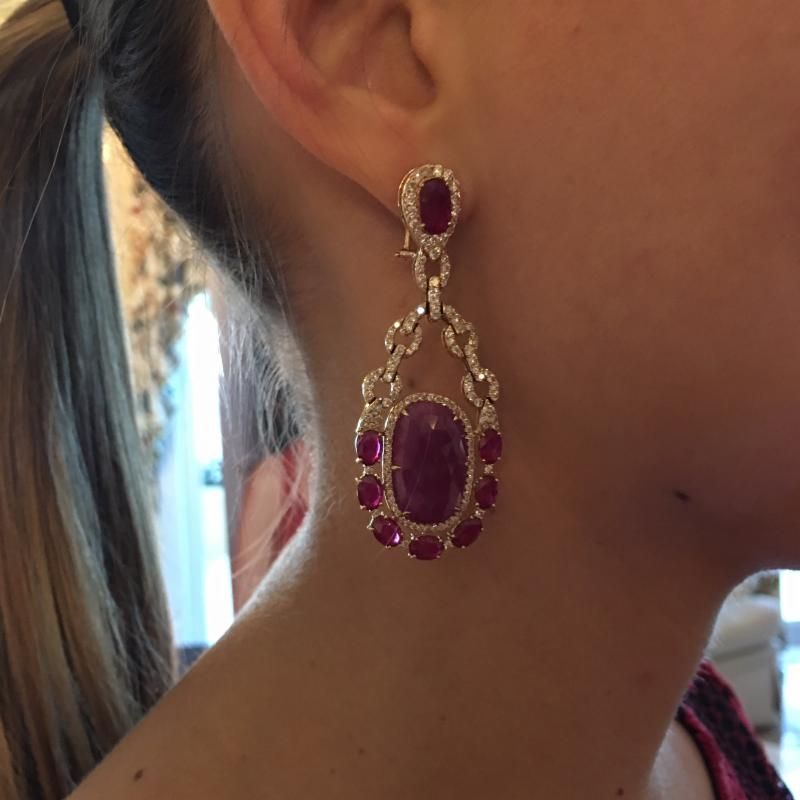 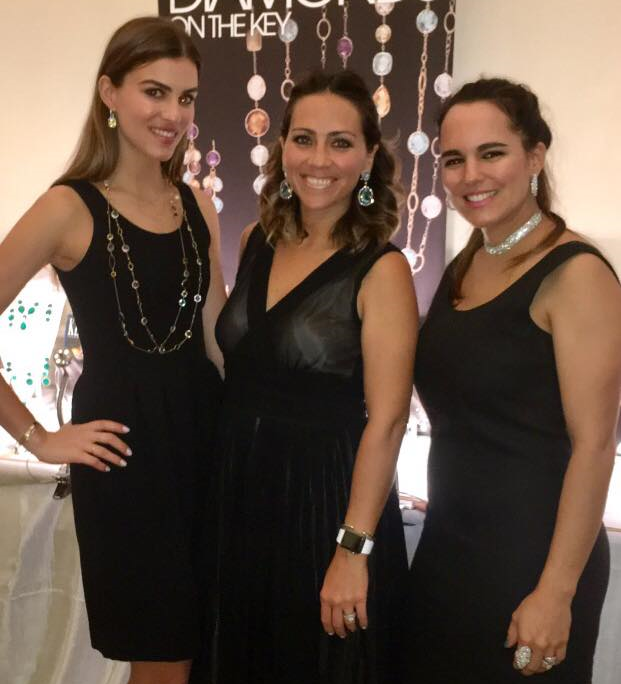 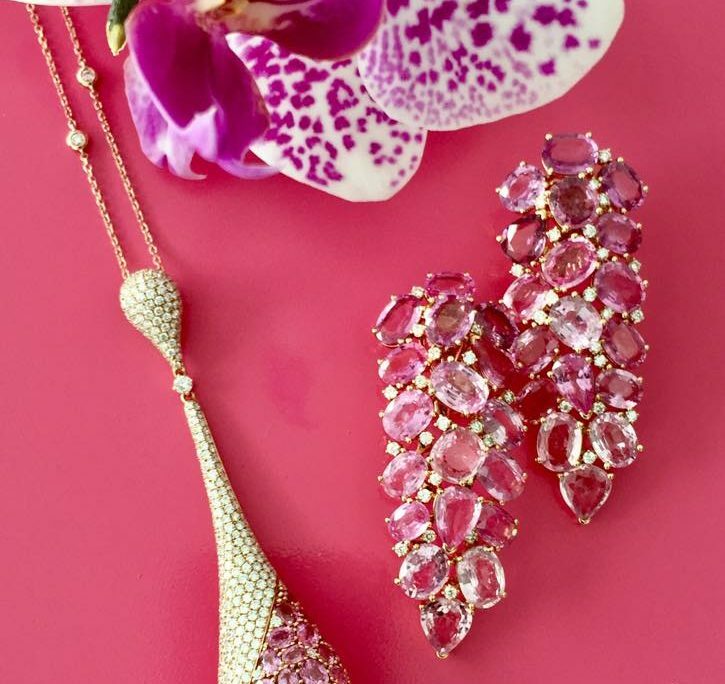 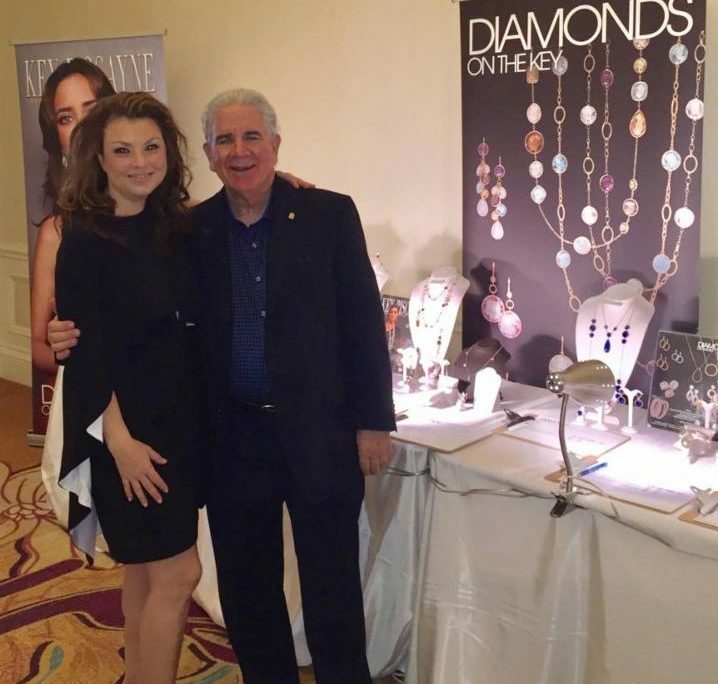 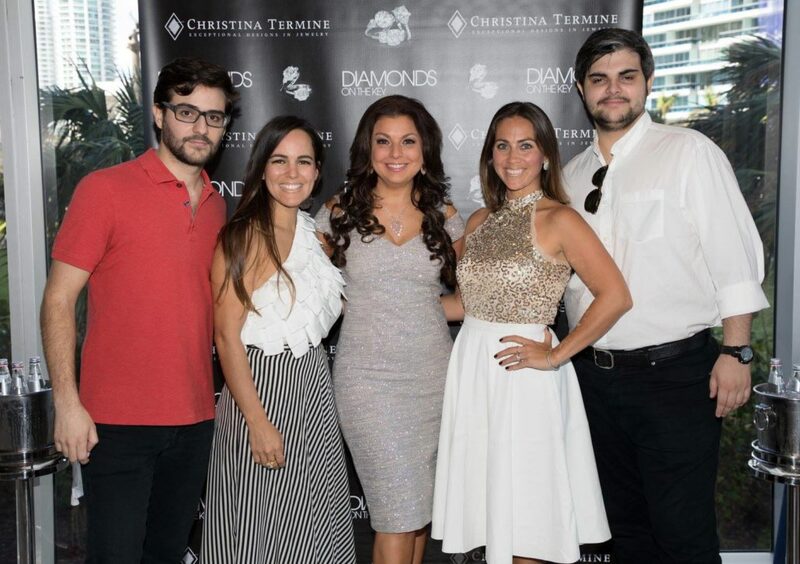 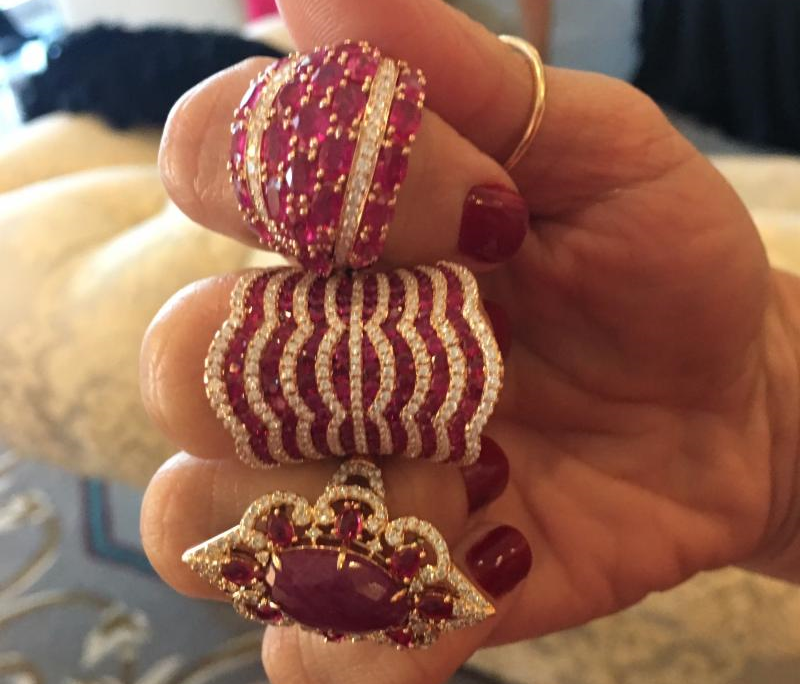 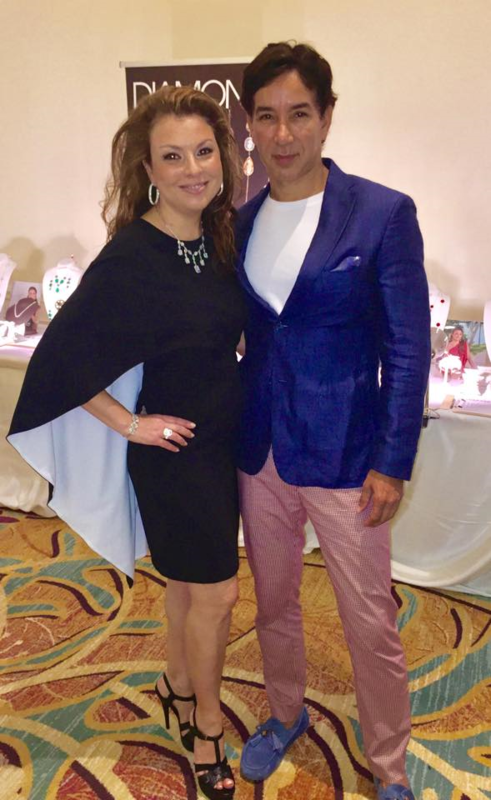 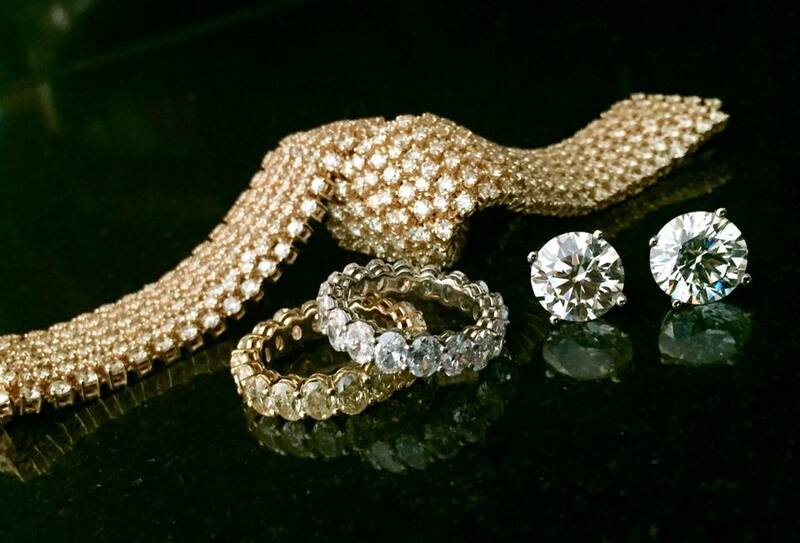 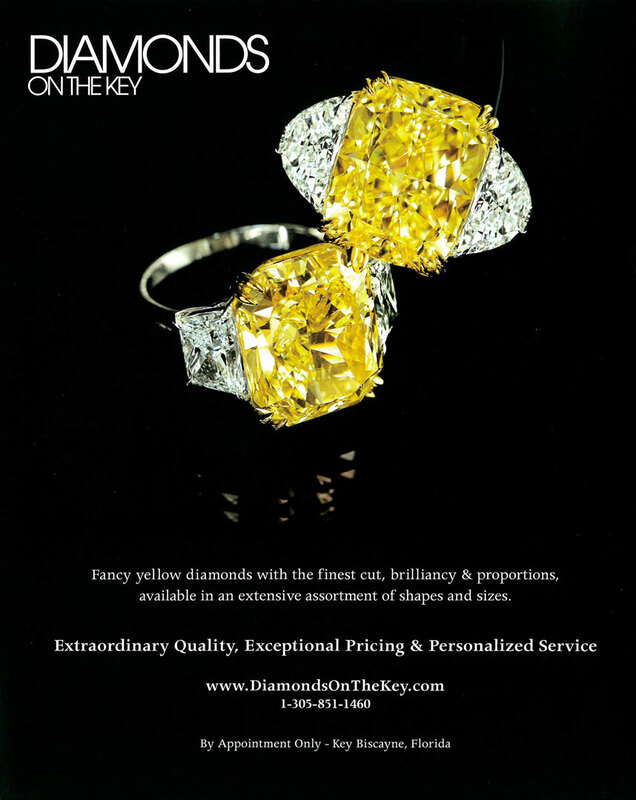 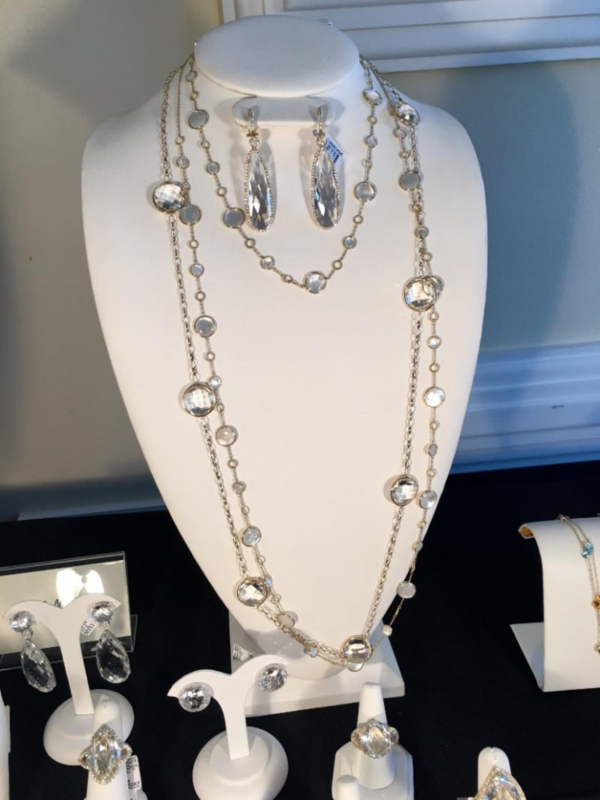 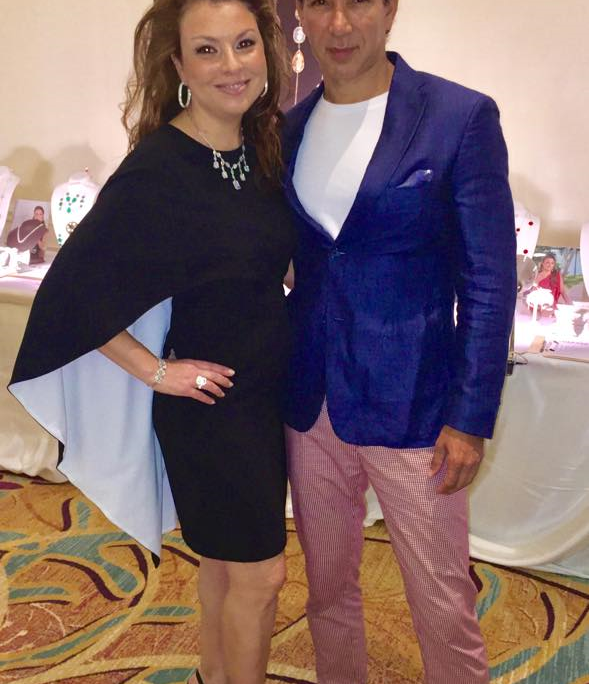 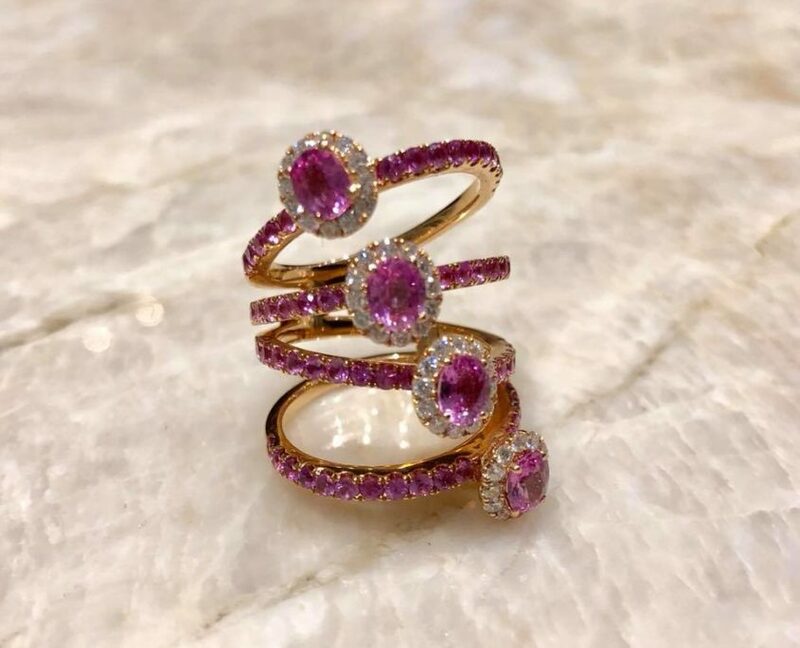 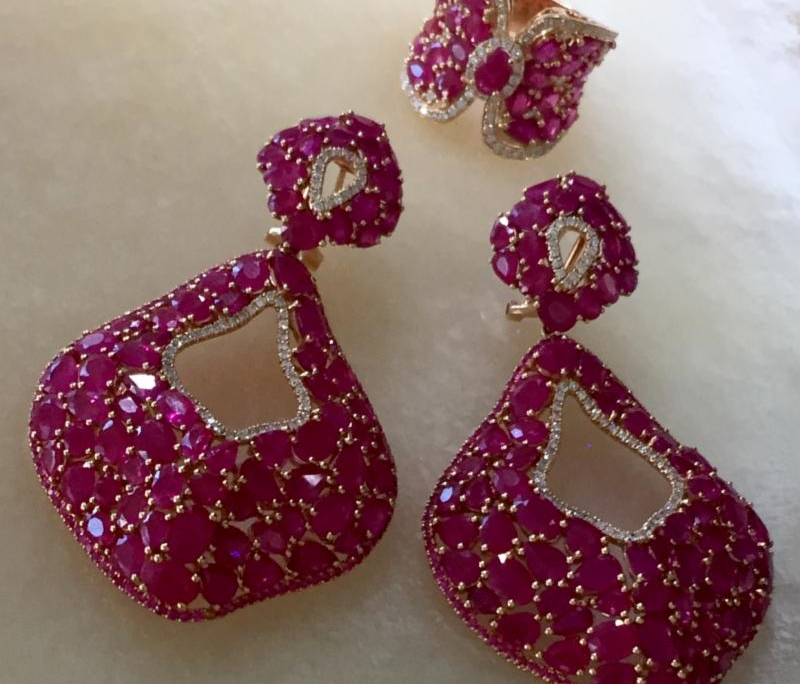 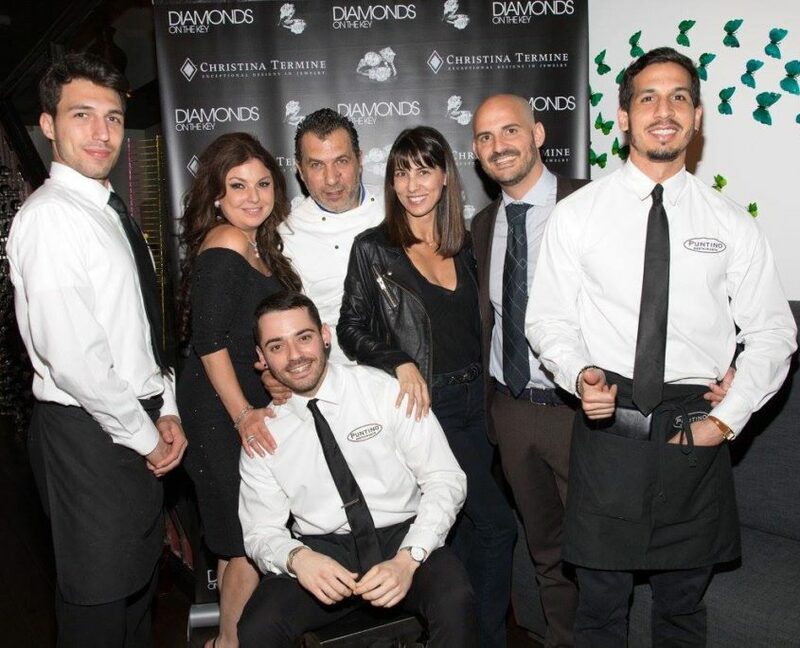 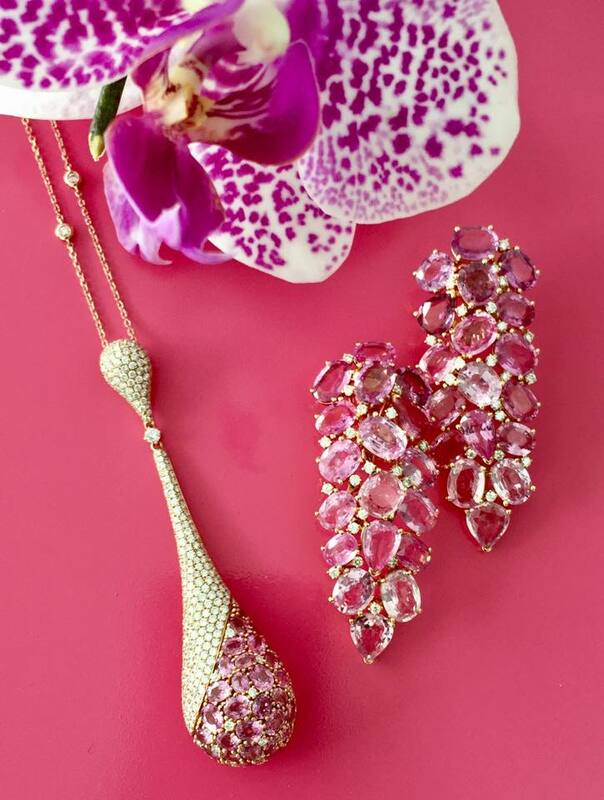 Miami jeweler Christina Termine, owner of “Diamonds On The Key”, celebrated her company’s 10 year anniversary together with a special holiday cocktail party surrounded by friends and clients at Puntino in Key Biscayne, on December 12, 2017. 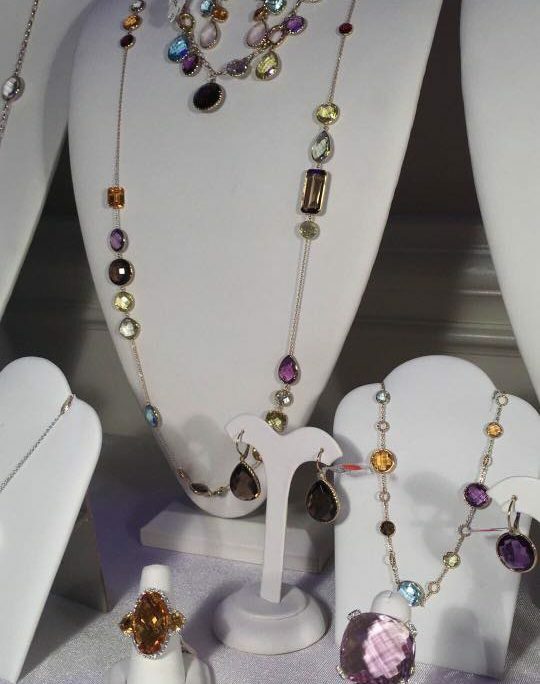 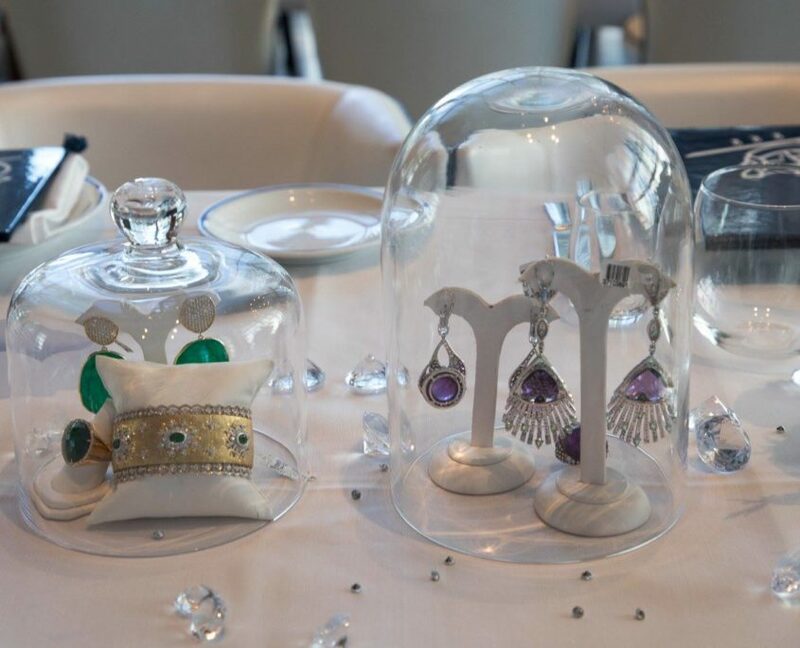 A long table sparkled with gorgeous fine diamond & gemstone jewelry, beautifully displayed under glass clochettes, for guests to ogle and try on during the evening. 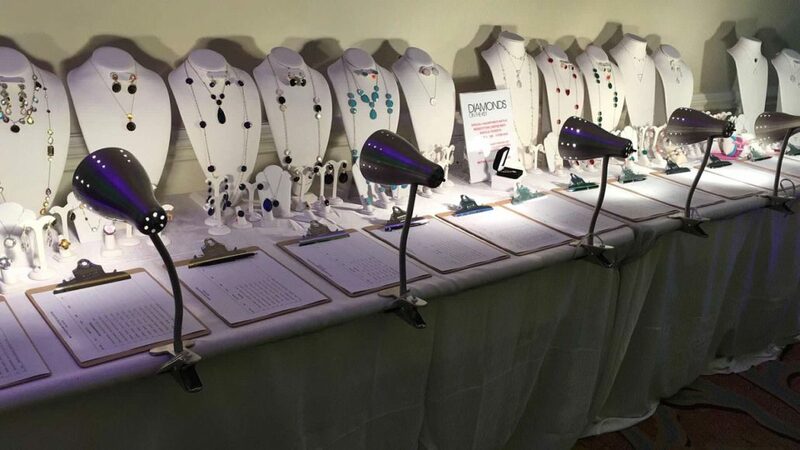 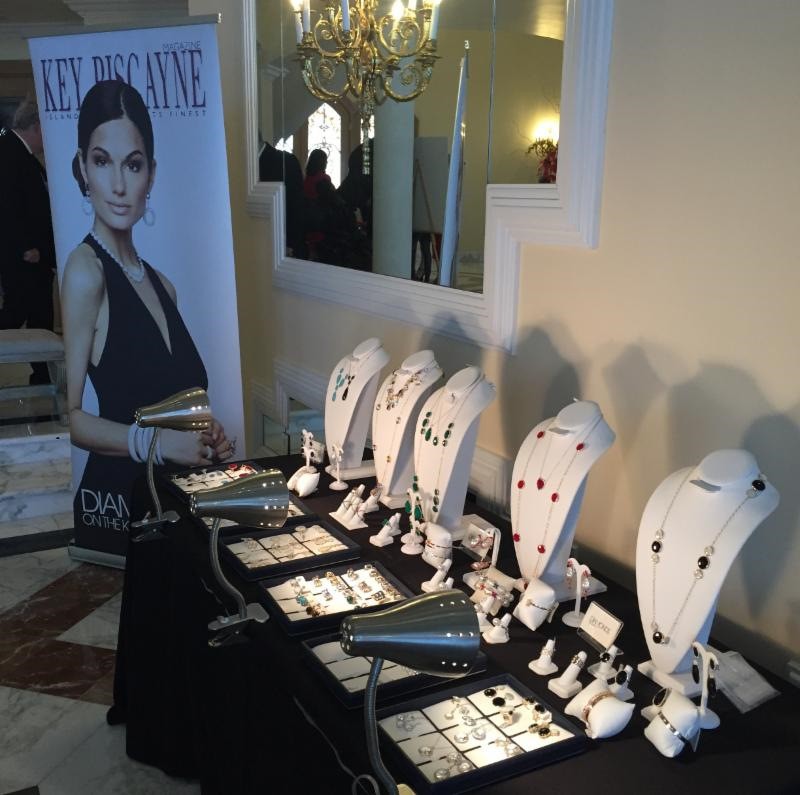 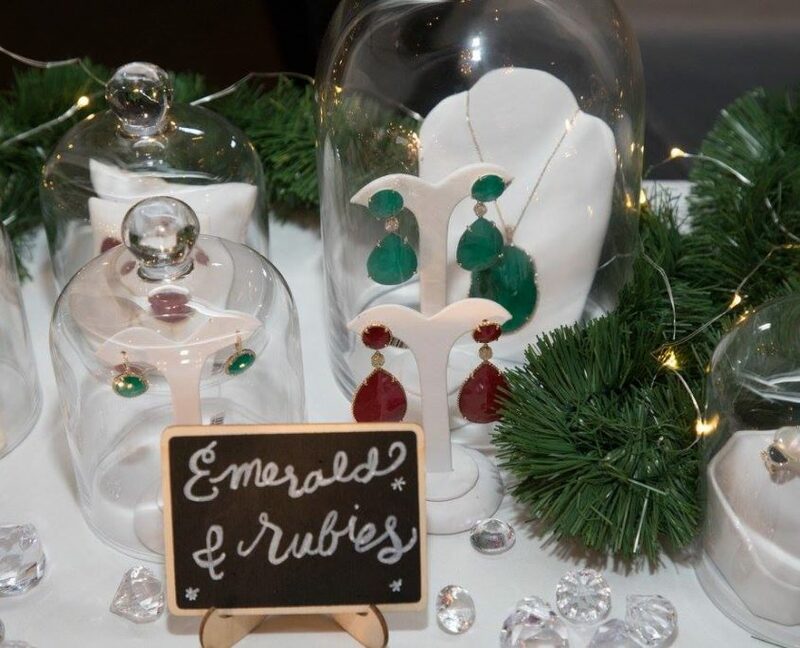 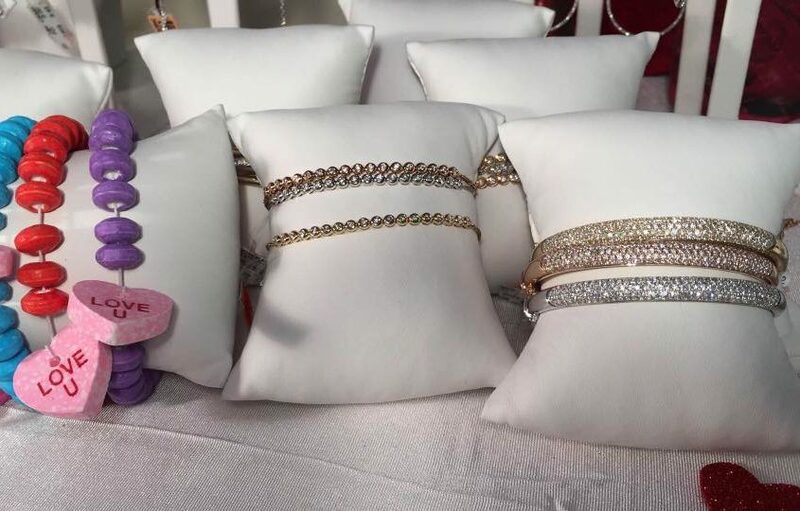 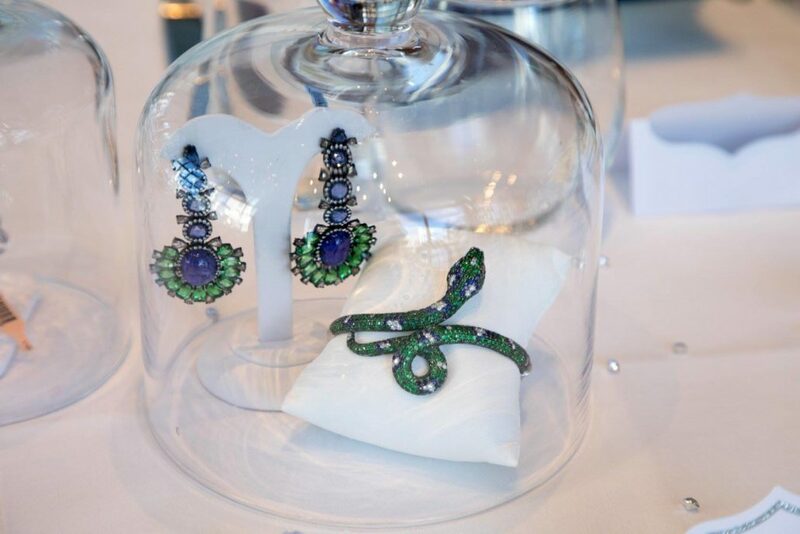 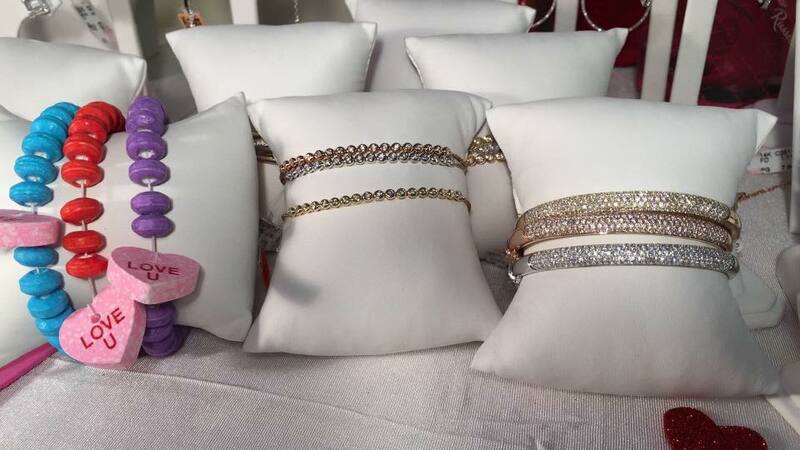 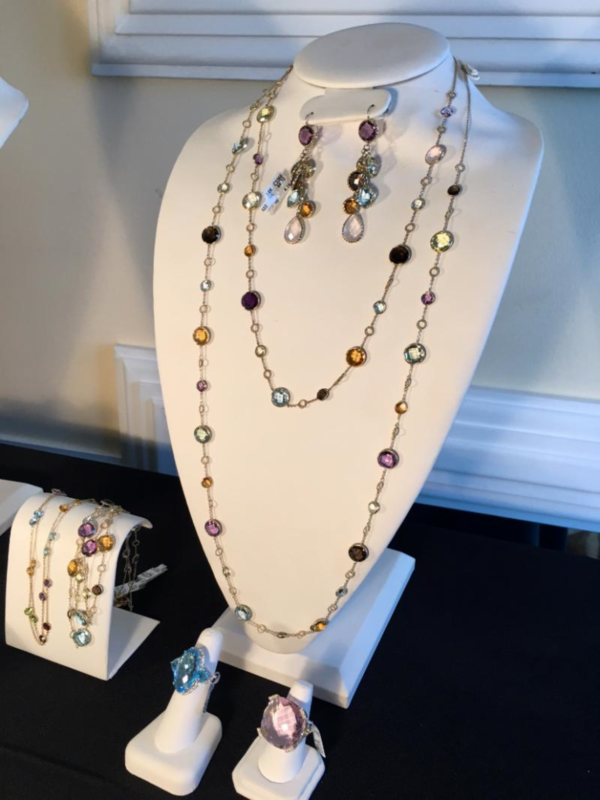 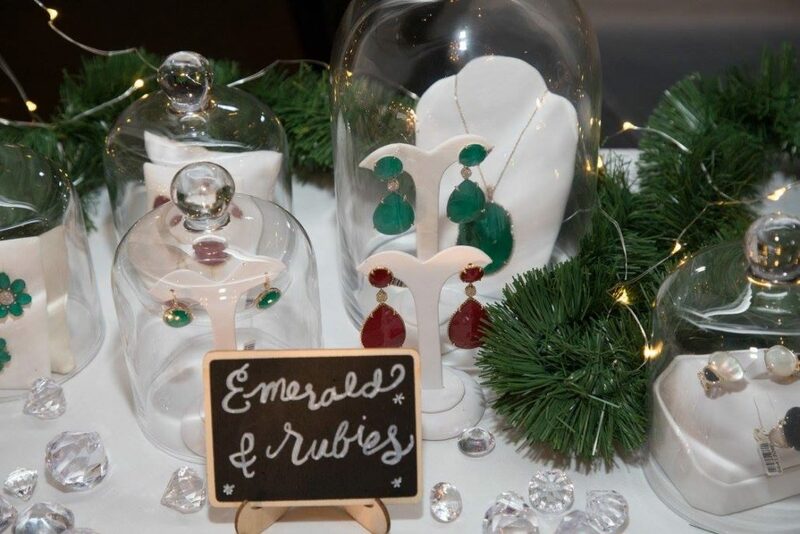 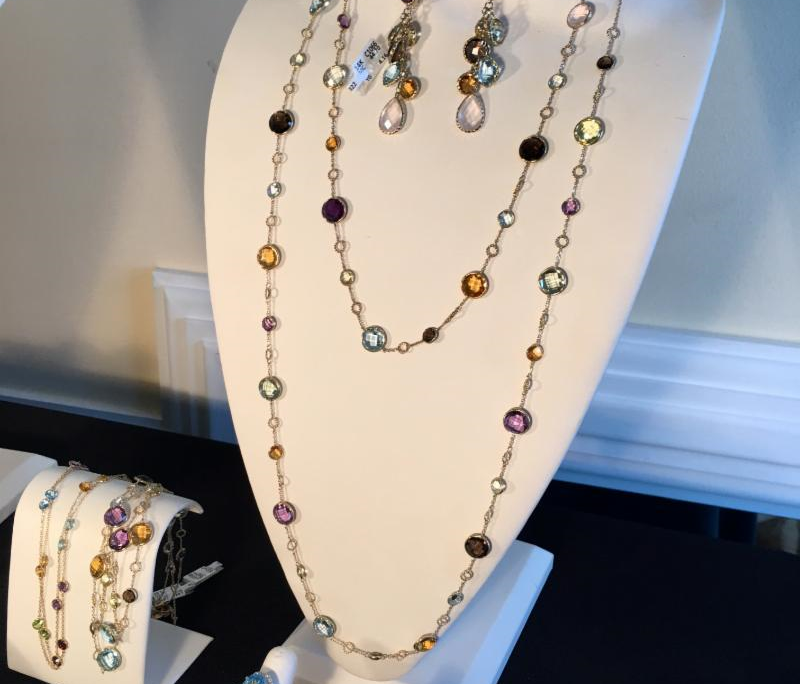 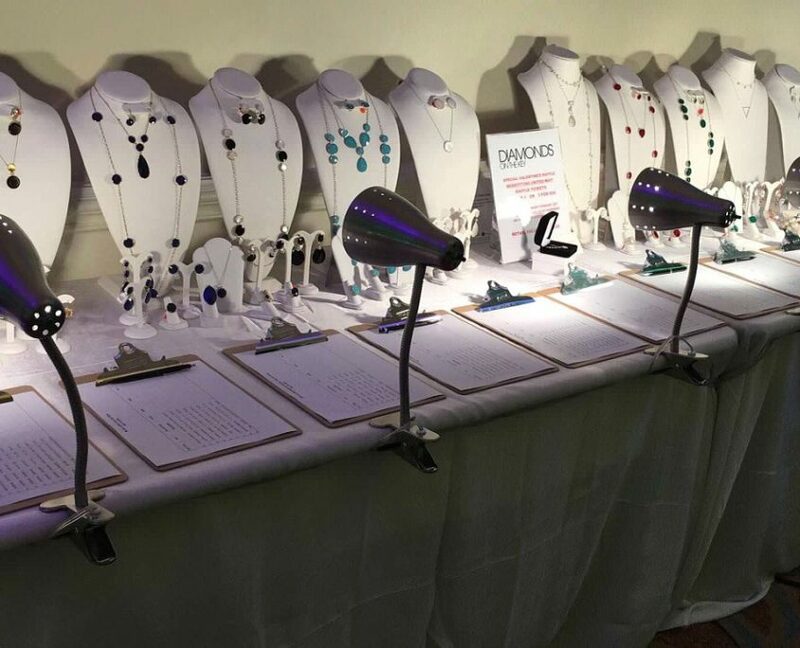 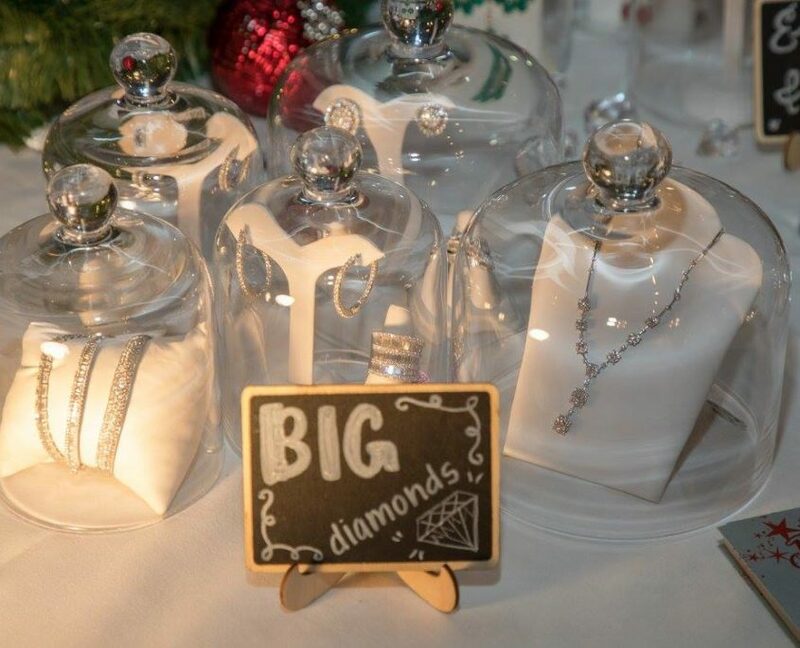 The tables theme was the ’12 Days of Christmas’ and featured different groups of pieces, including Emeralds & Rubys, BIG Diamonds, Chunky Rings, Mother of Pearl, and Diamonds Bracelets. 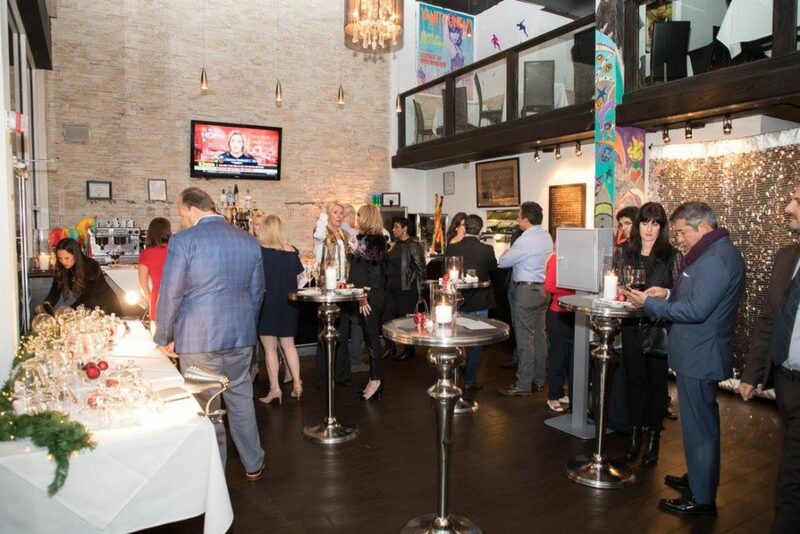 Guests enjoyed the Photo Booth and a delicious spread of Antipastis & bubbling Prosecco. 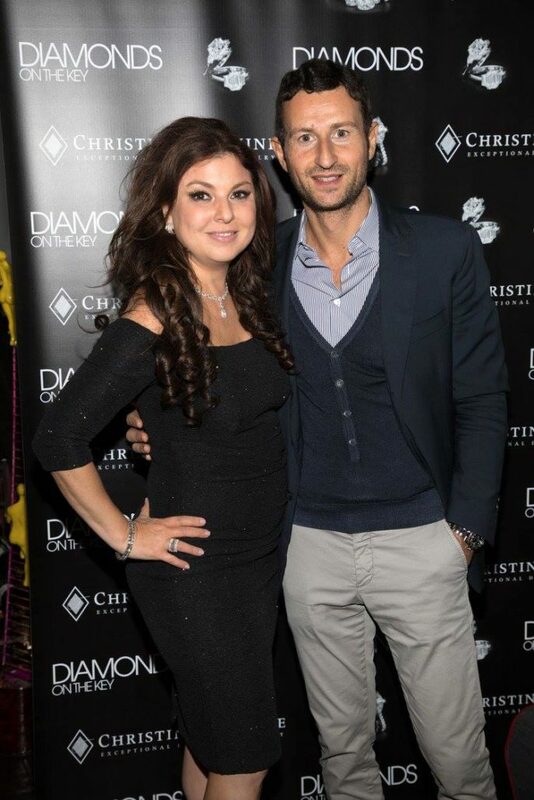 Click on the photo of Christina to be redirected to the Facebook album with more images! 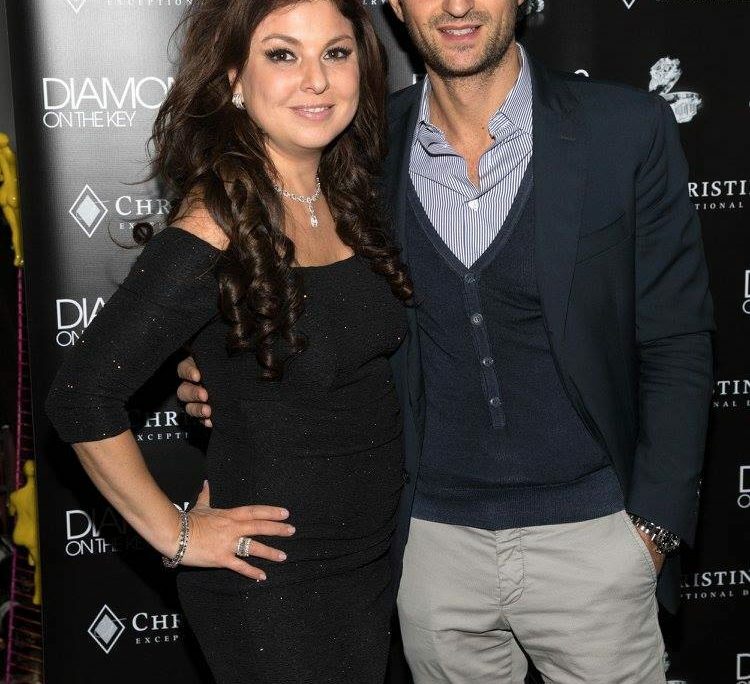 Photos were taken by Alberto Tamargo (alberto.tamargo@gmail.com). 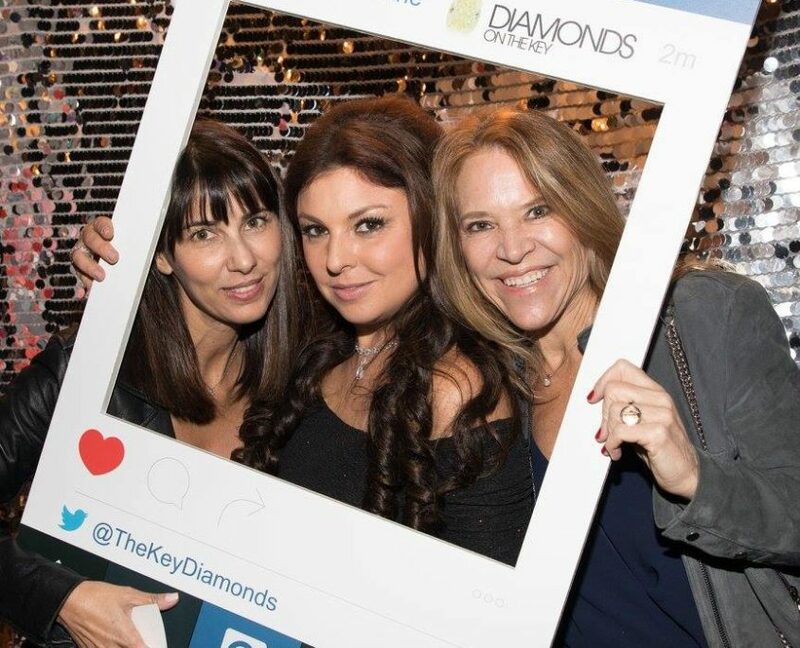 View the Guests Photobooth photos here! 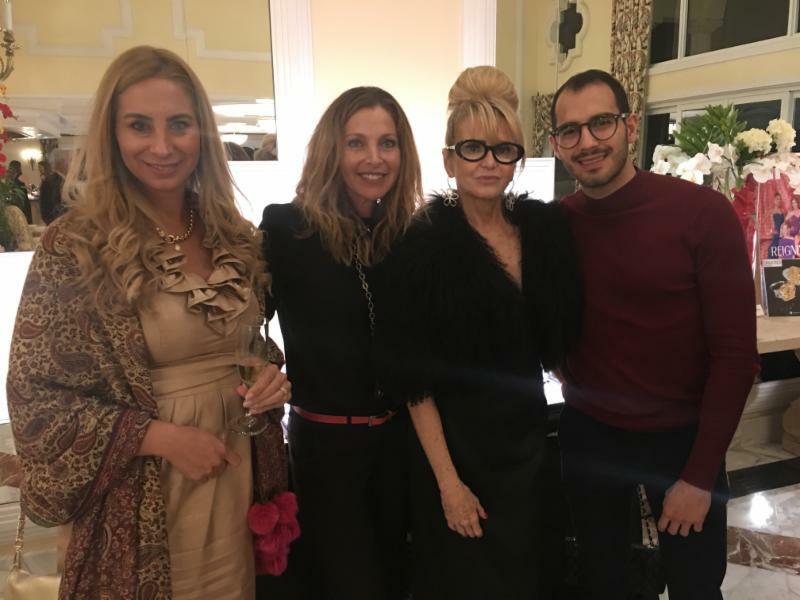 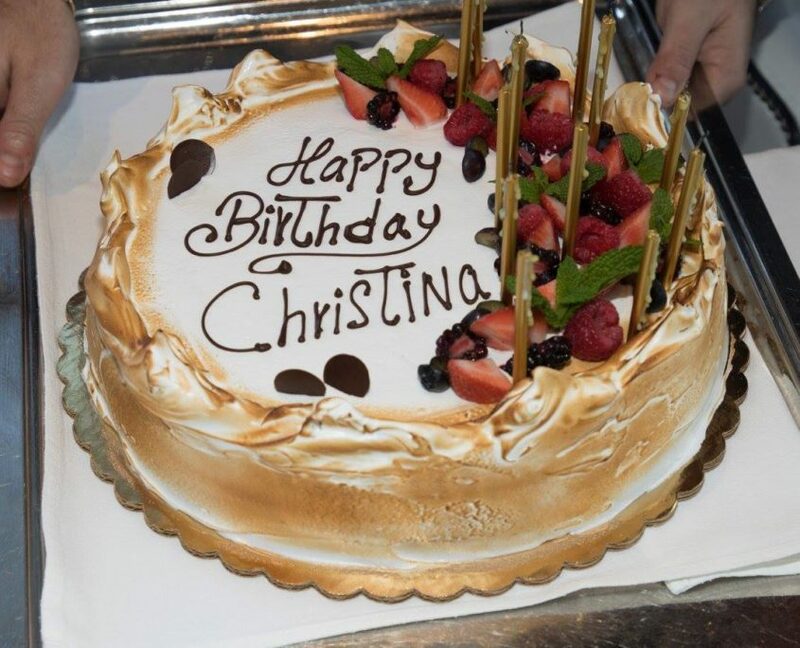 Christina celebrated her company’s 10 year anniversary together with a milestone birthday surrounded by glamorous friends at Cipriani Miami, on November 8, 2017. 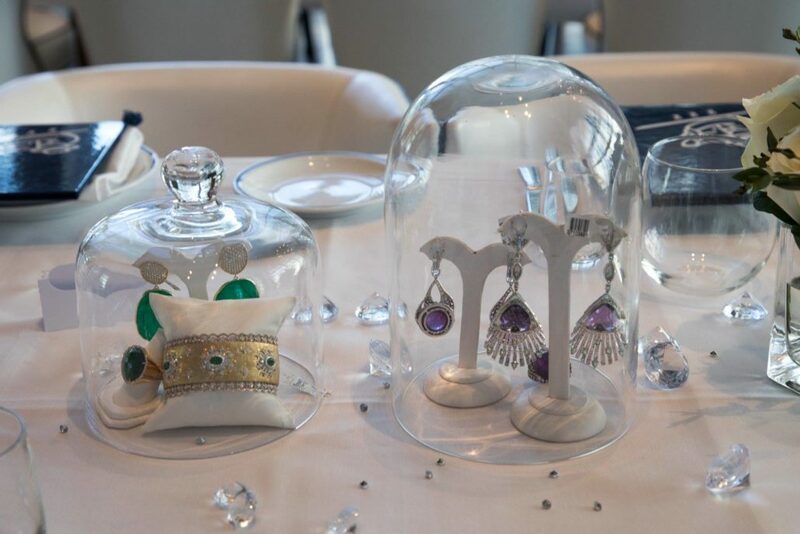 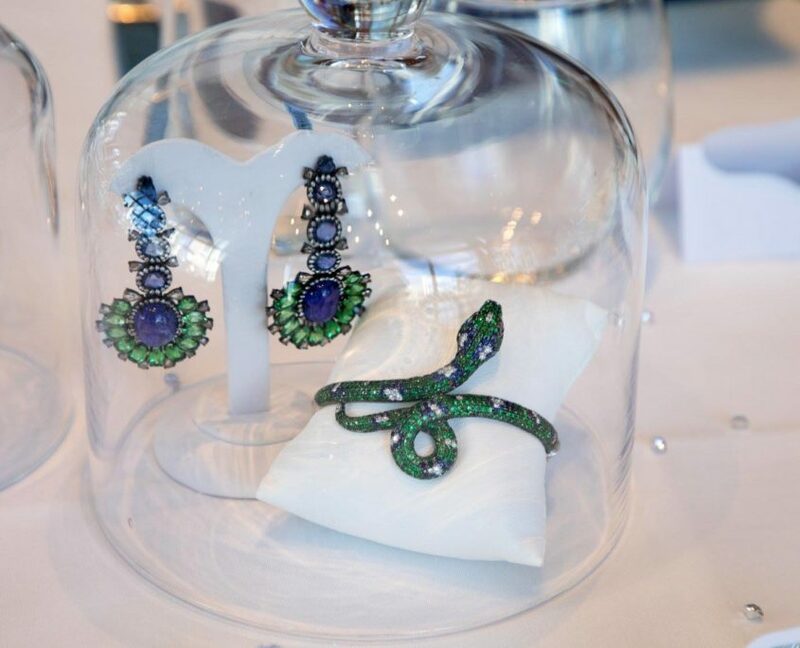 Tables sparkled with gorgeous center pieces of fine diamond & gemstone jewelry, beautifully displayed under glass clochettes, for guests to ogle and try on during the elegant luncheon. 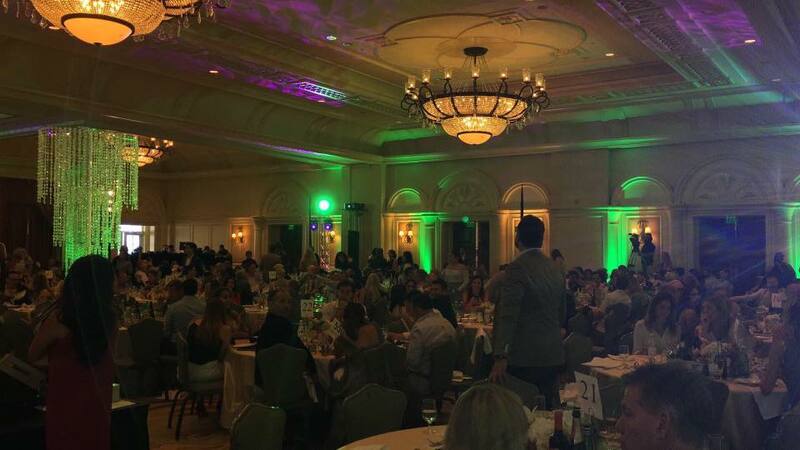 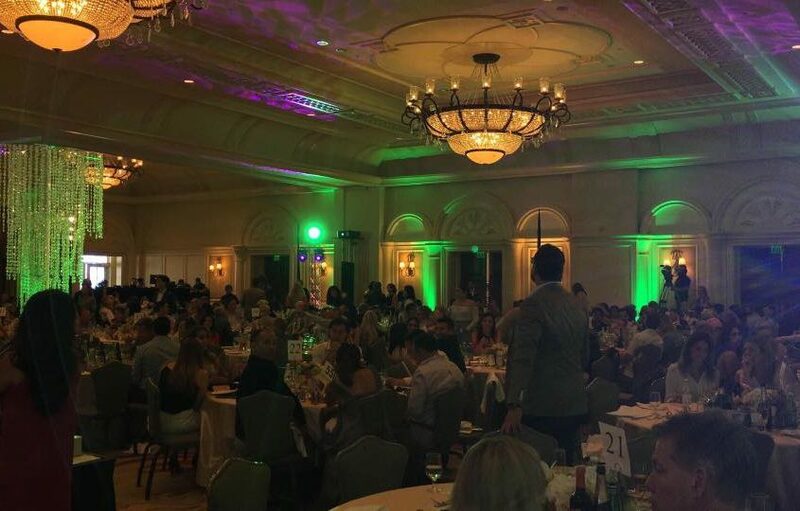 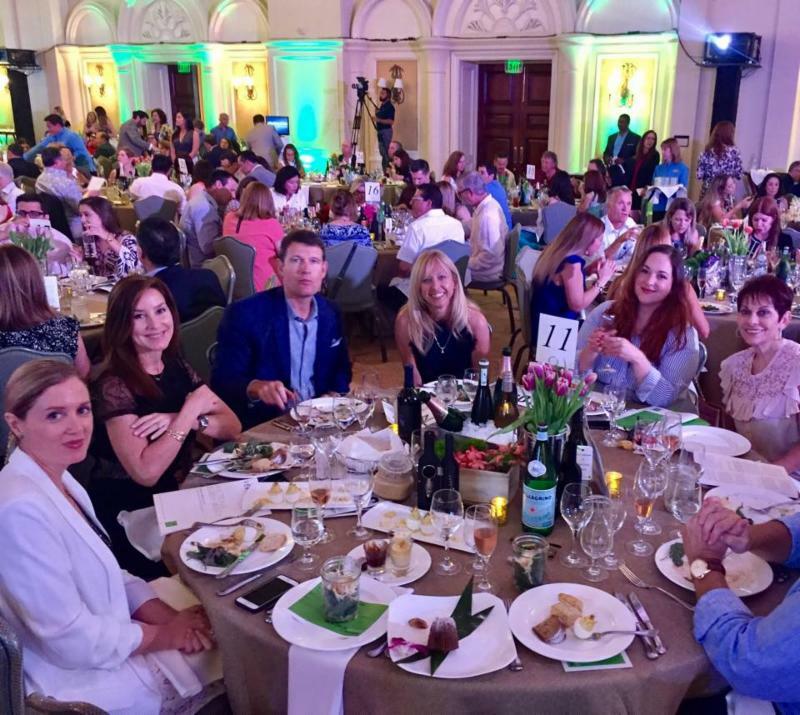 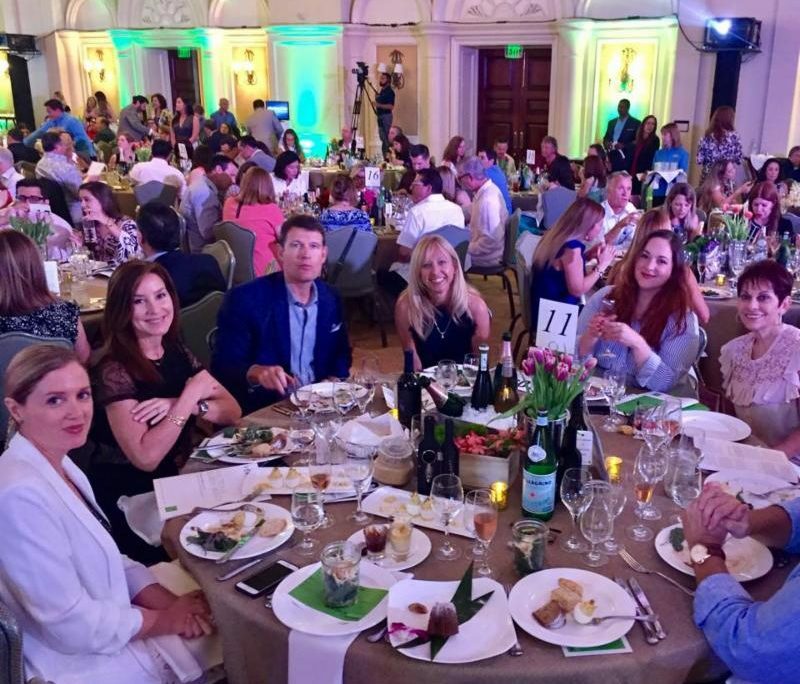 A virtual who’s who of Miami turned out for the celebration where champagne flowed and a delicious Italian dishes were served. 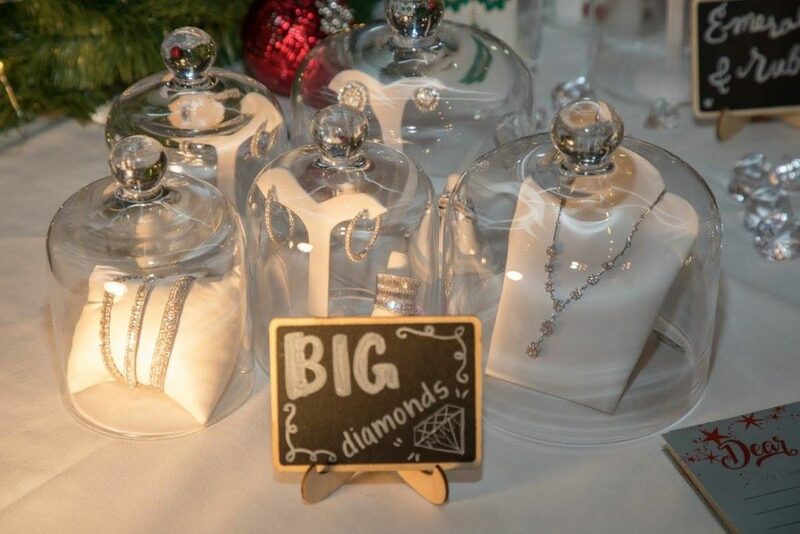 Guests were each honored with a special token gem of friendship. 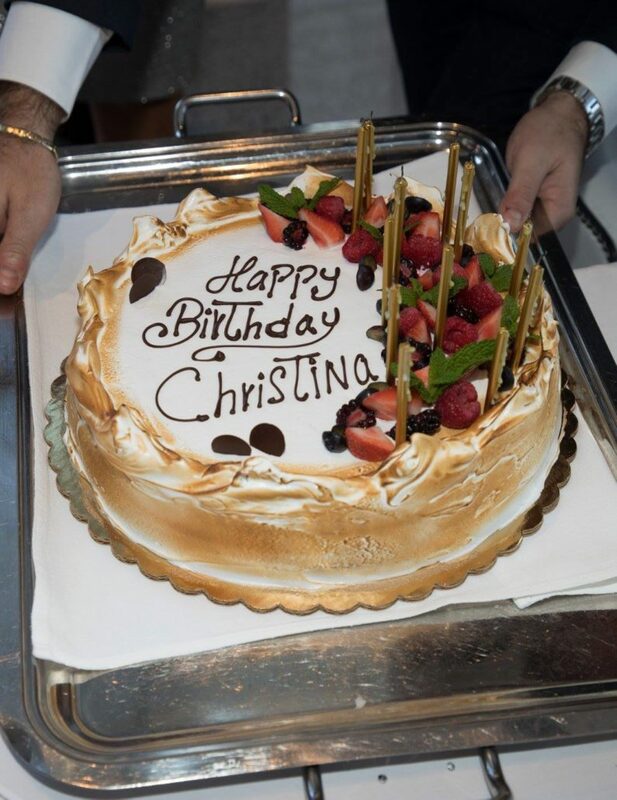 Cipriani managers Riccardo Usai and Marco Nardi presented Christina with a decadent birthday cake and helped blow out her candles. 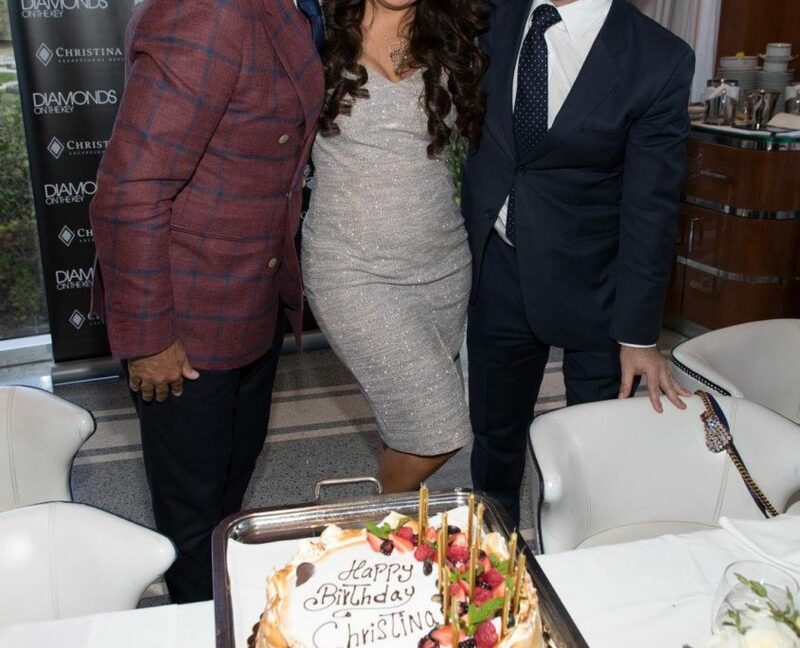 Click on the photo of Christina to be redirected to her Facebook album to see more photos of the event! 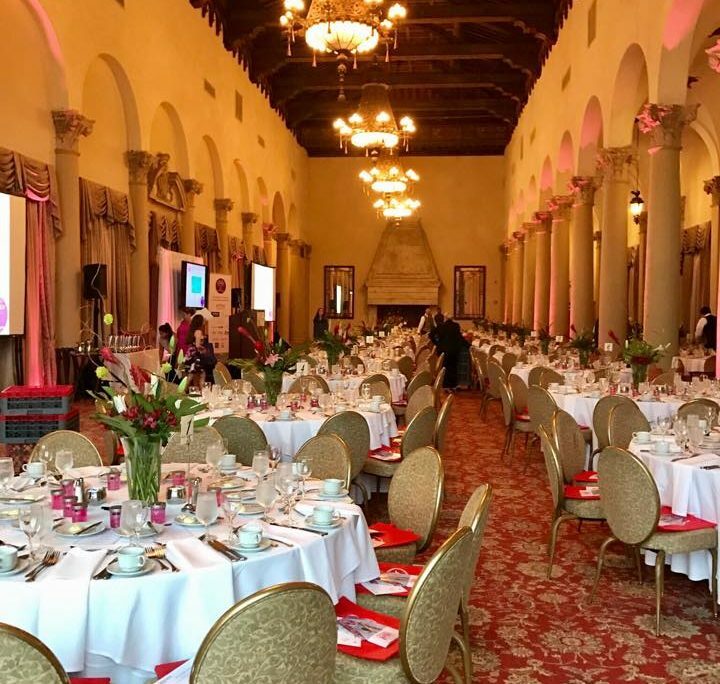 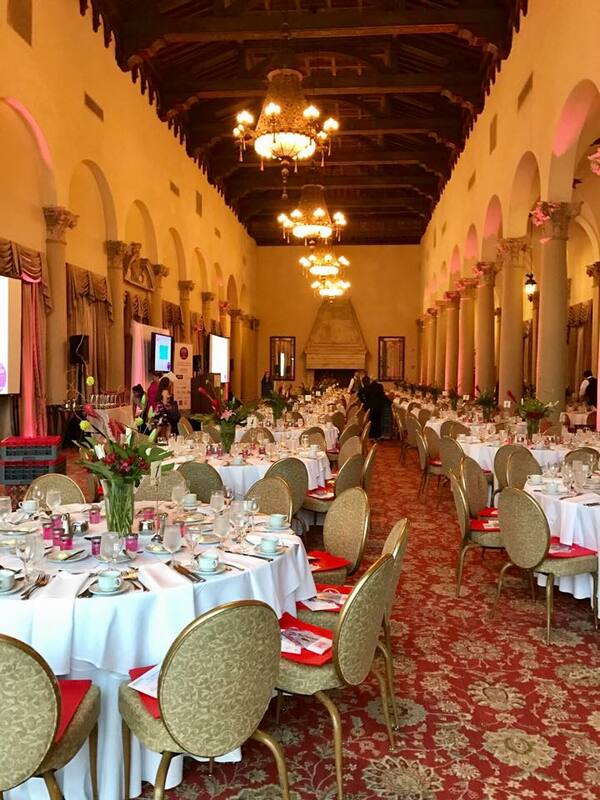 The fourth annual ‘Fifty Shades of Pink’ awards luncheon took place on October 5, 2017 at the iconic Biltmore Hotel and was touted as a “Day of Caring for Breast Cancer Awareness” in South Florida. 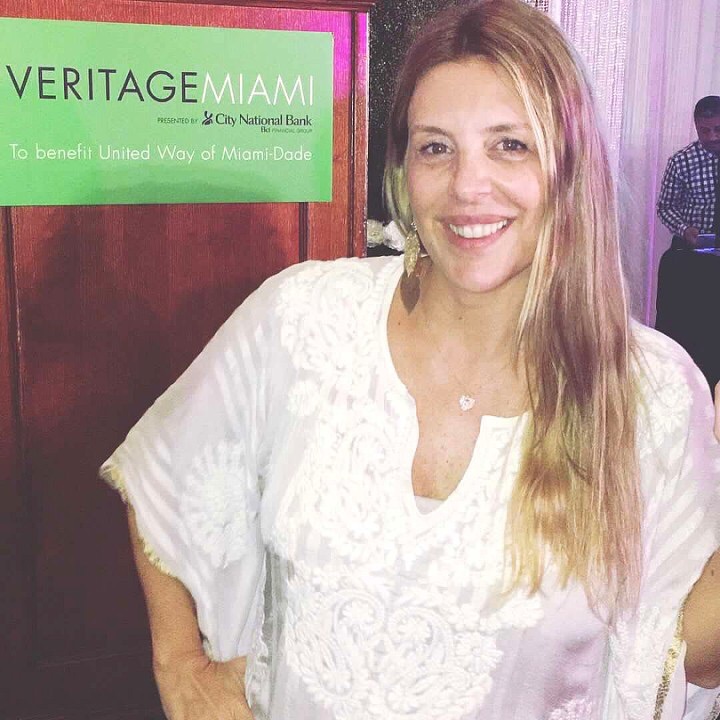 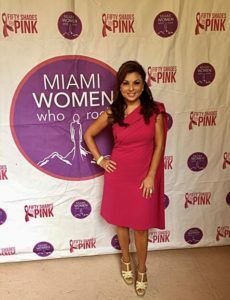 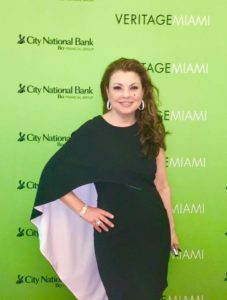 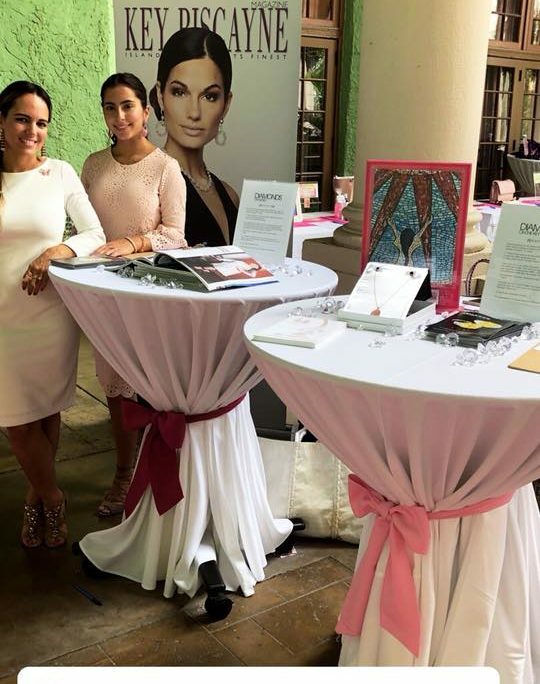 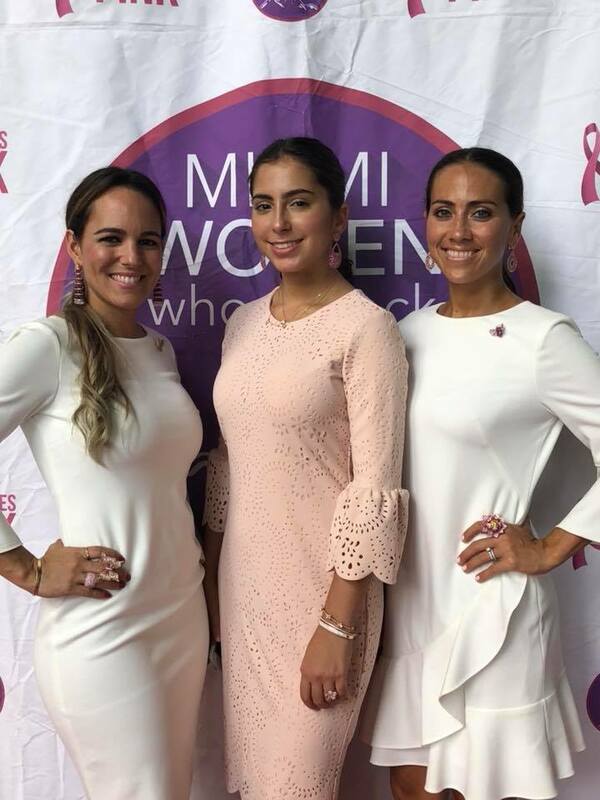 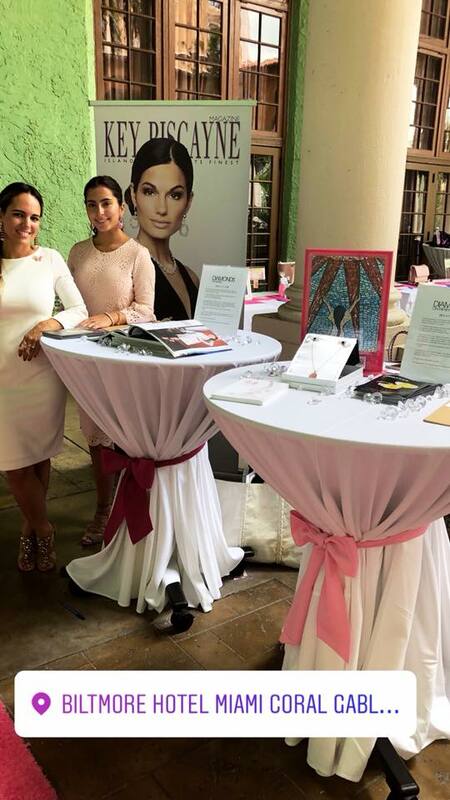 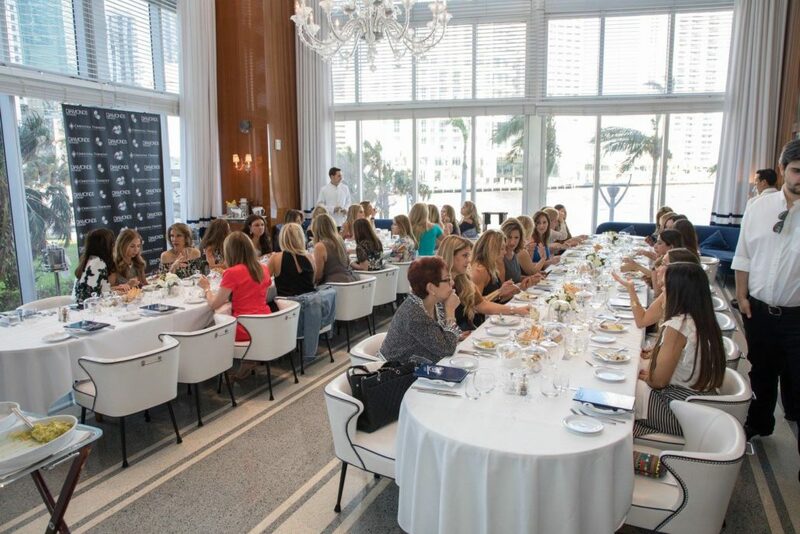 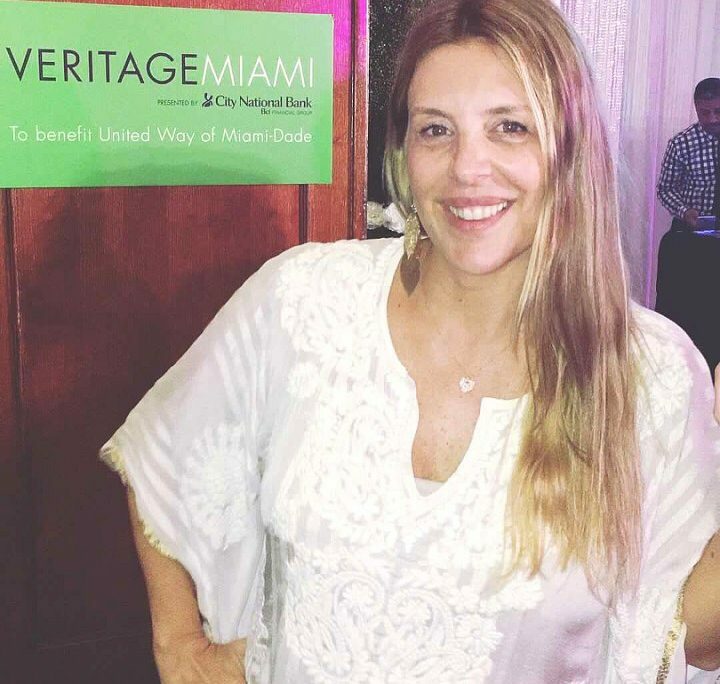 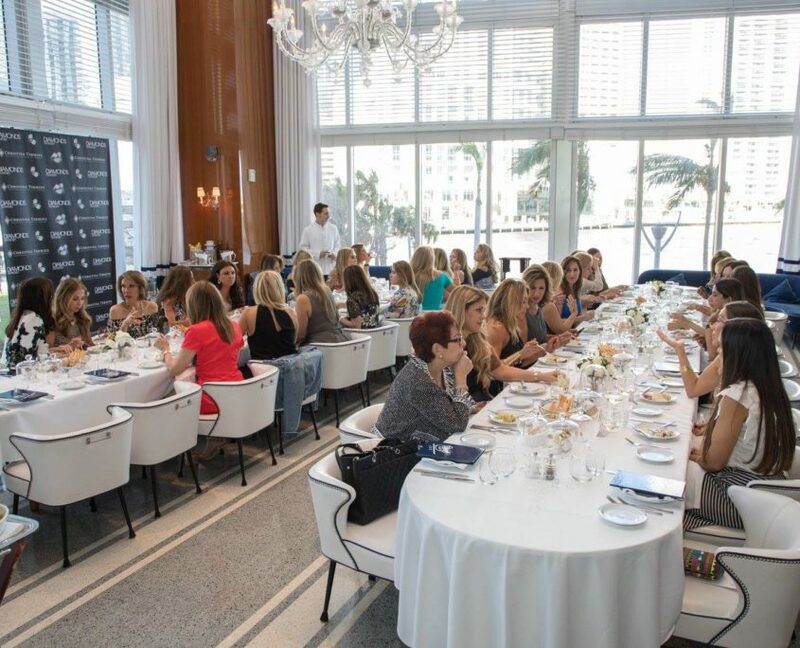 Organized by the foundation, “Miami Women Who Rock” whose mission is to promote a dynamic, powerful and resourceful health-driven women’s network through fundraising programs that serve to educate and empower women from all walks of life. 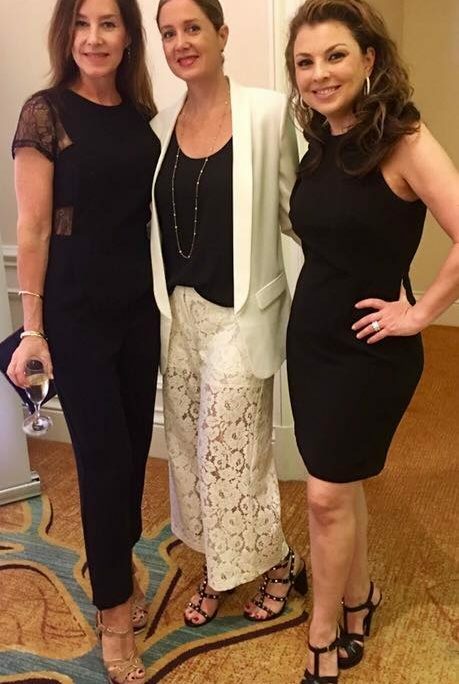 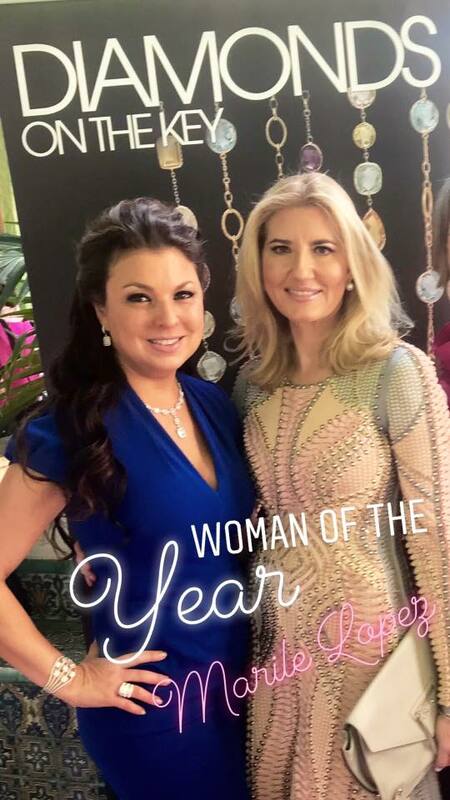 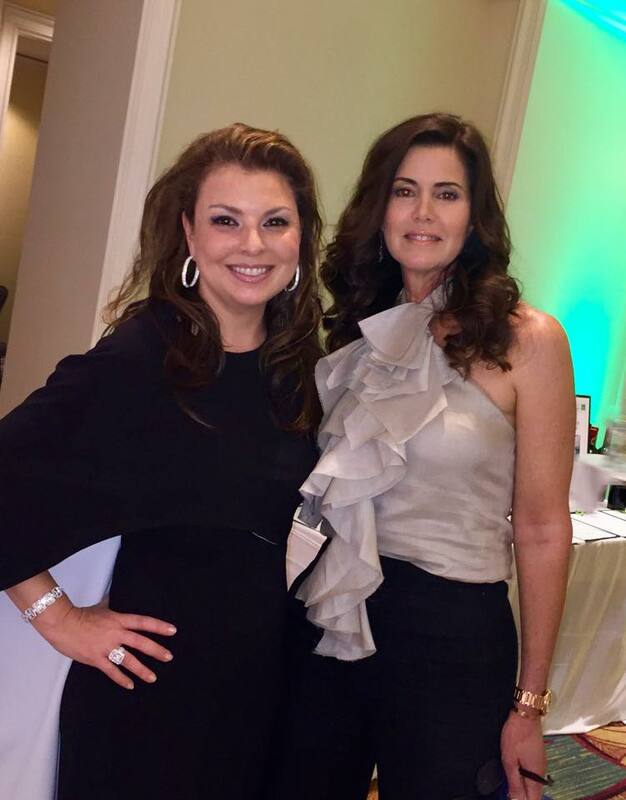 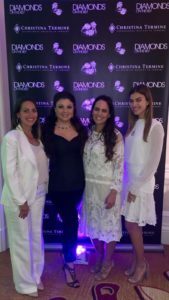 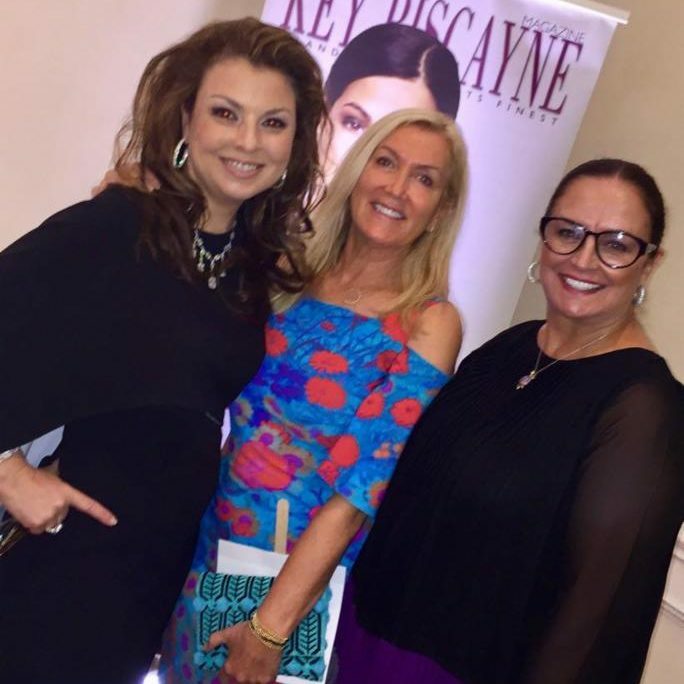 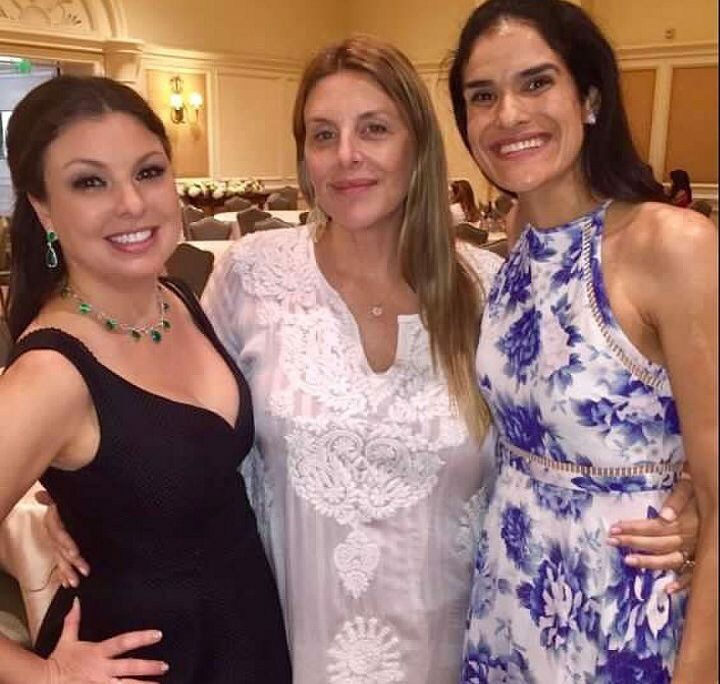 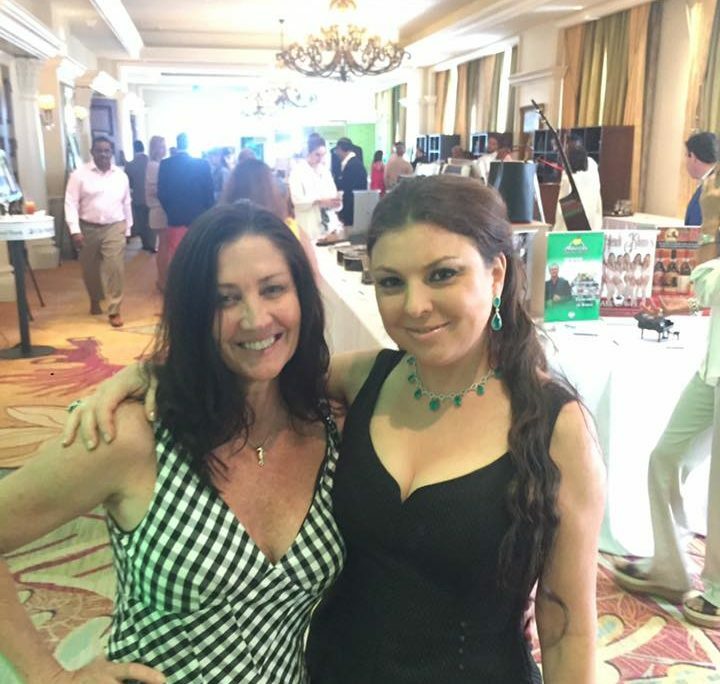 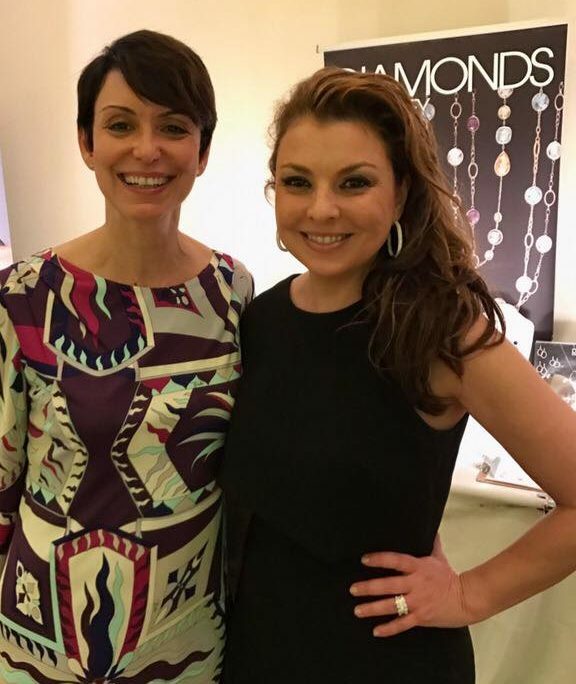 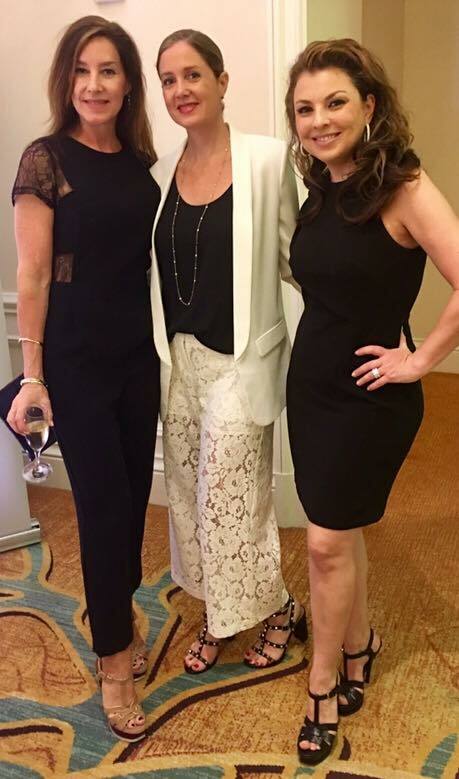 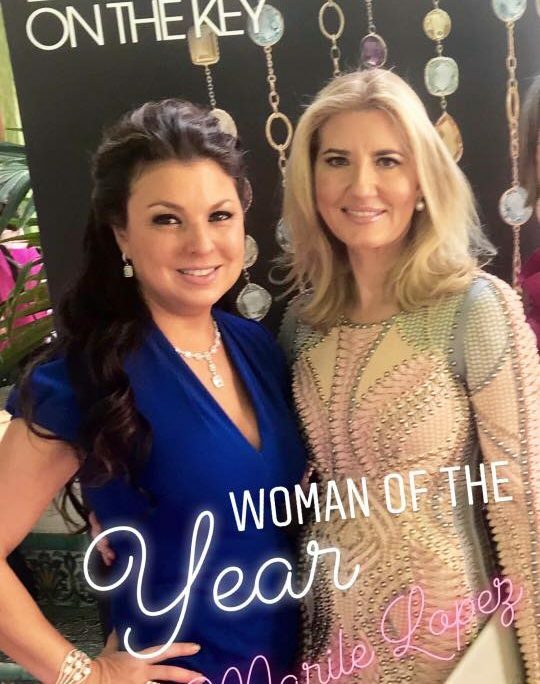 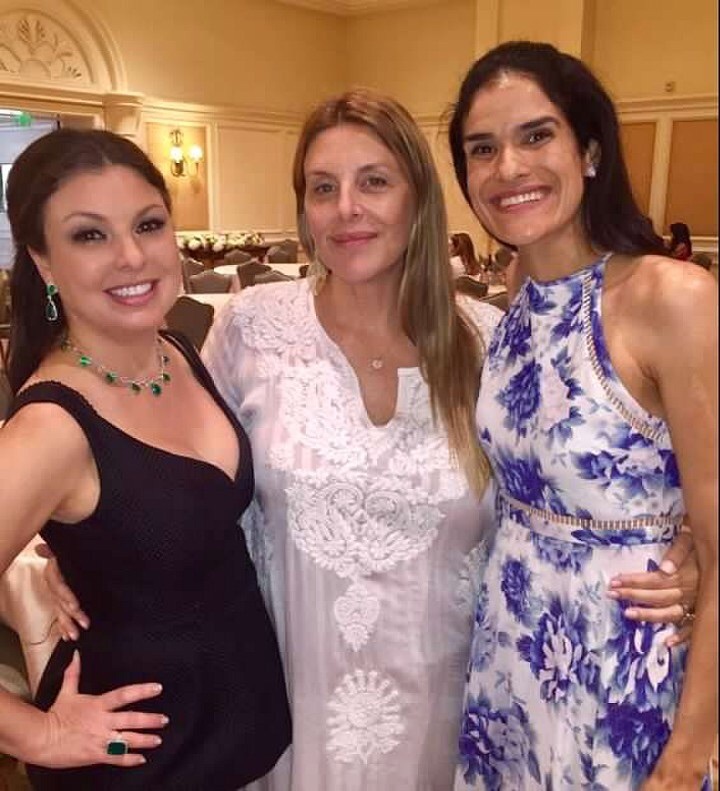 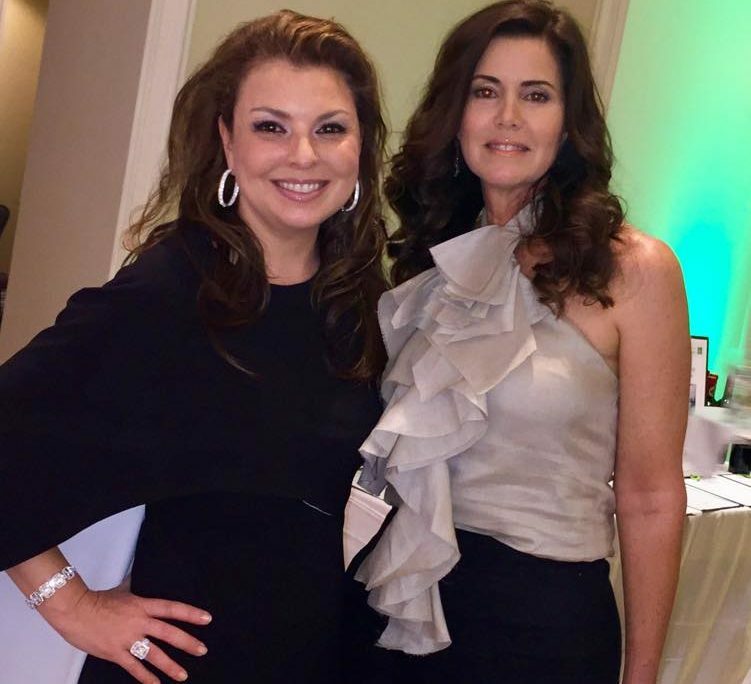 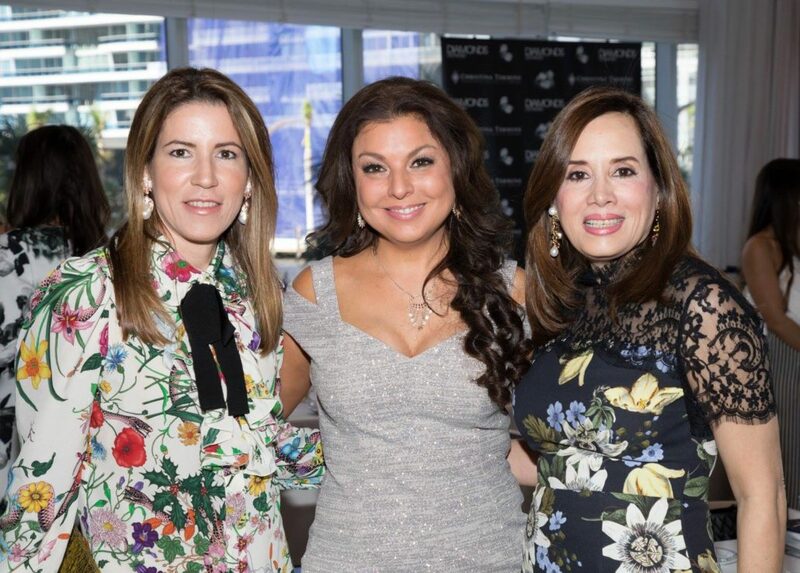 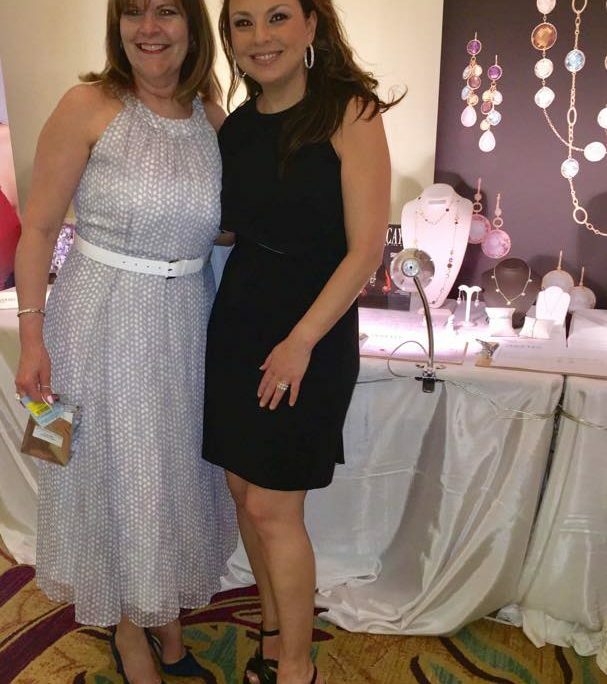 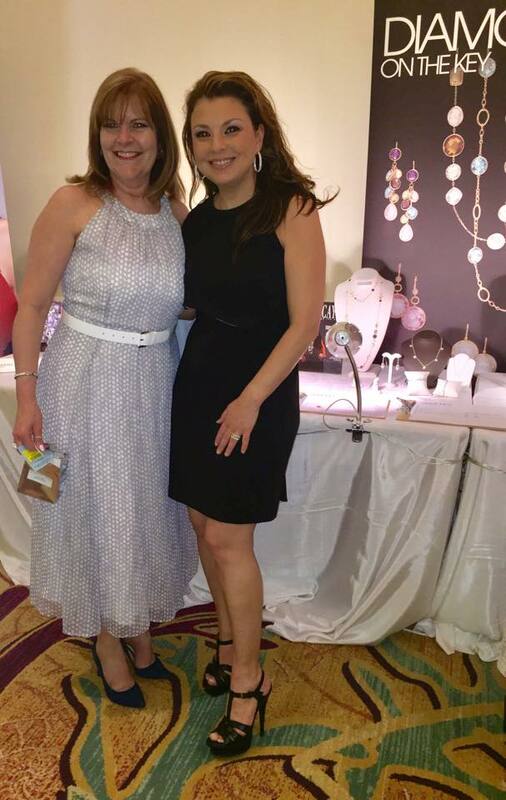 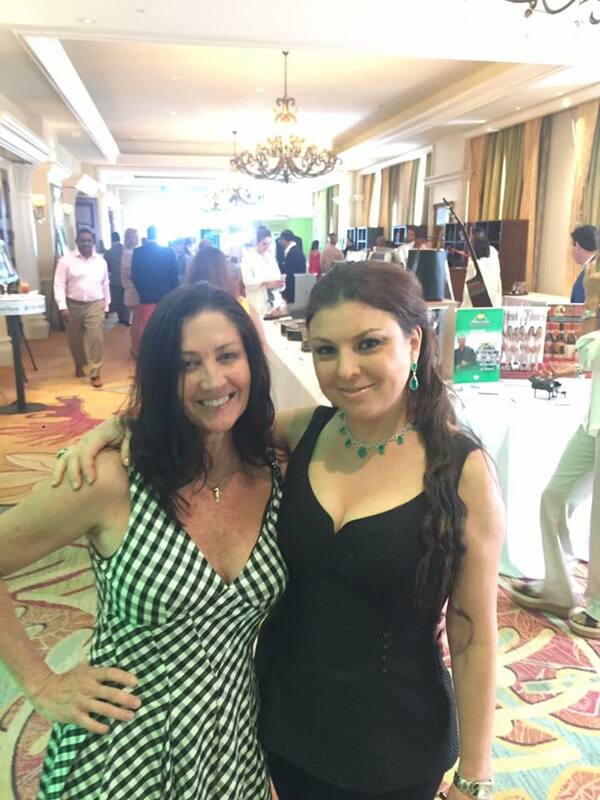 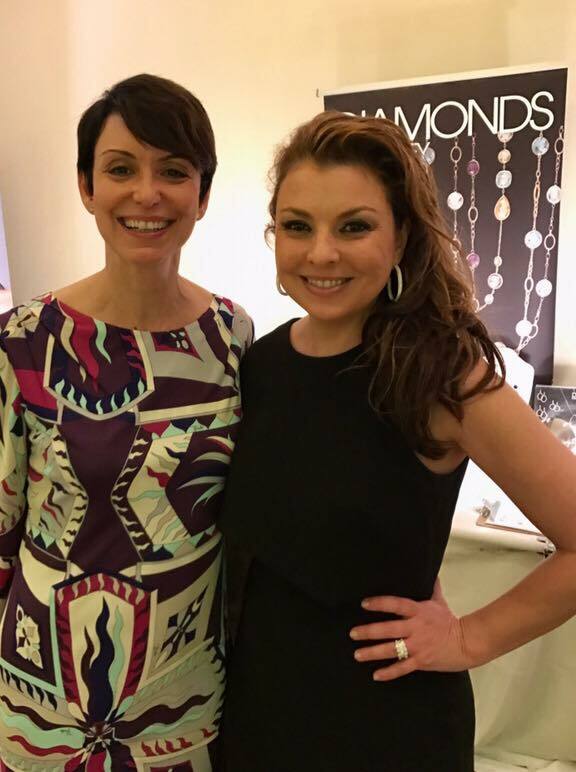 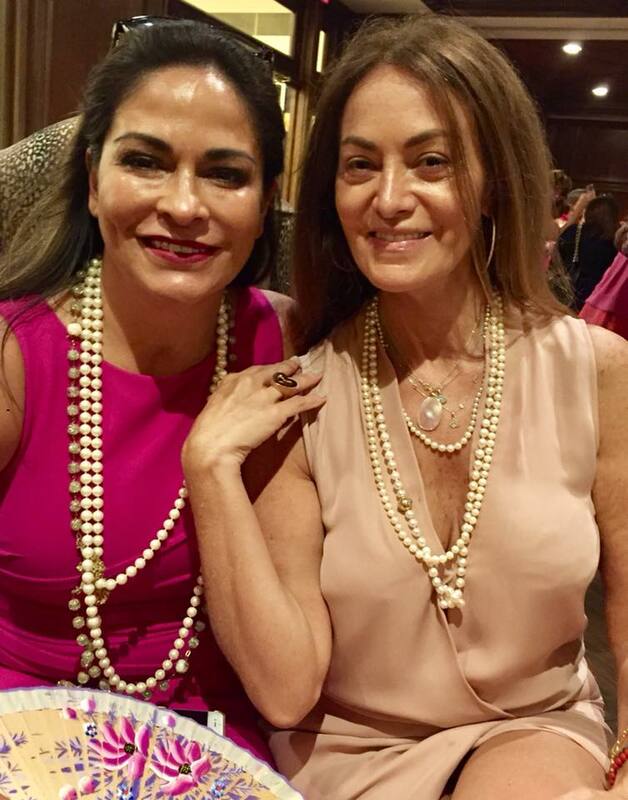 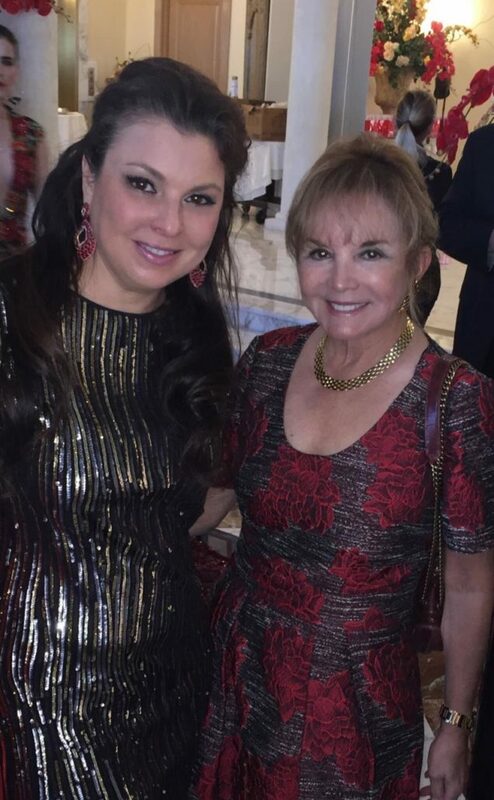 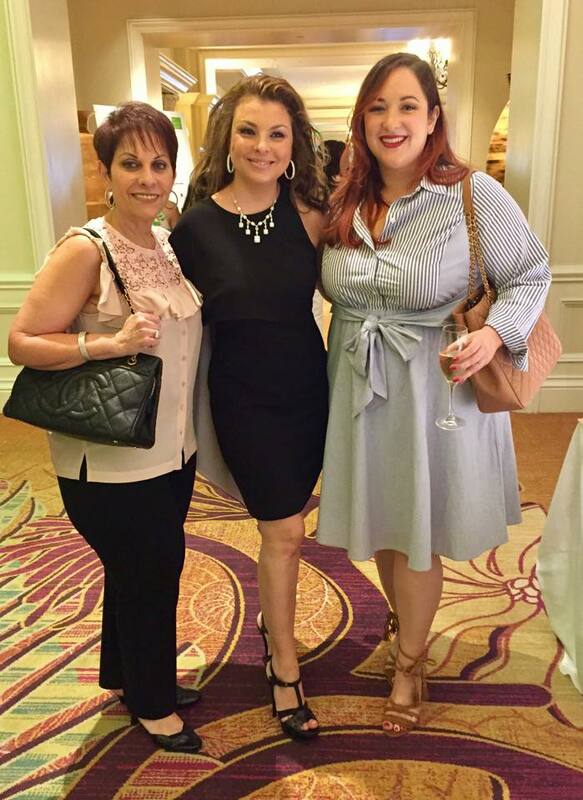 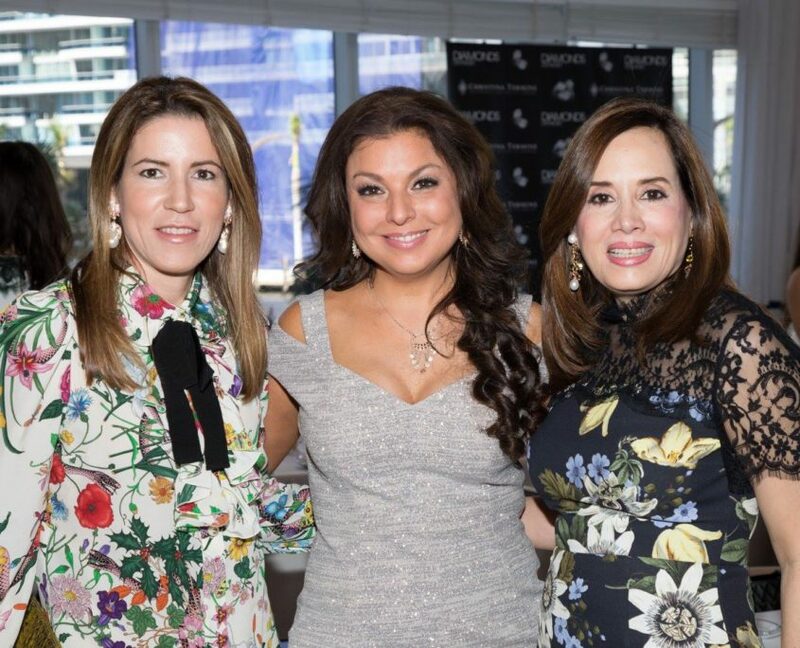 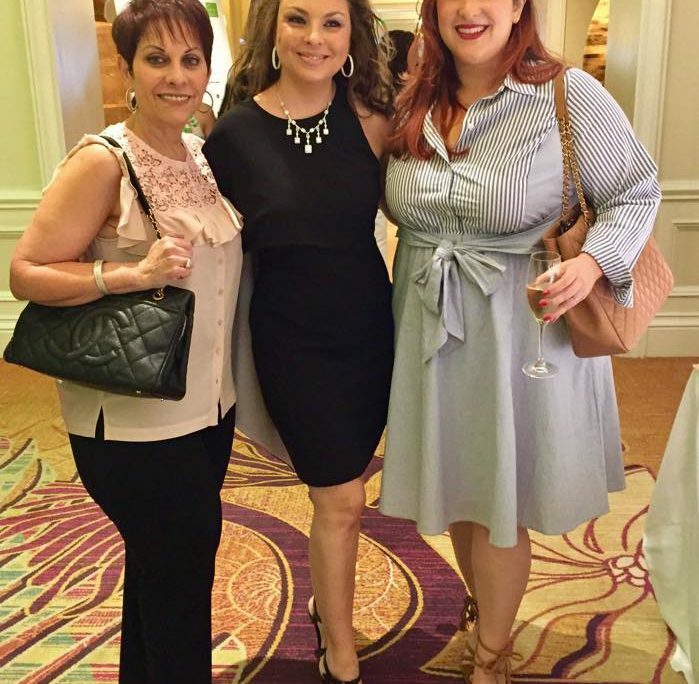 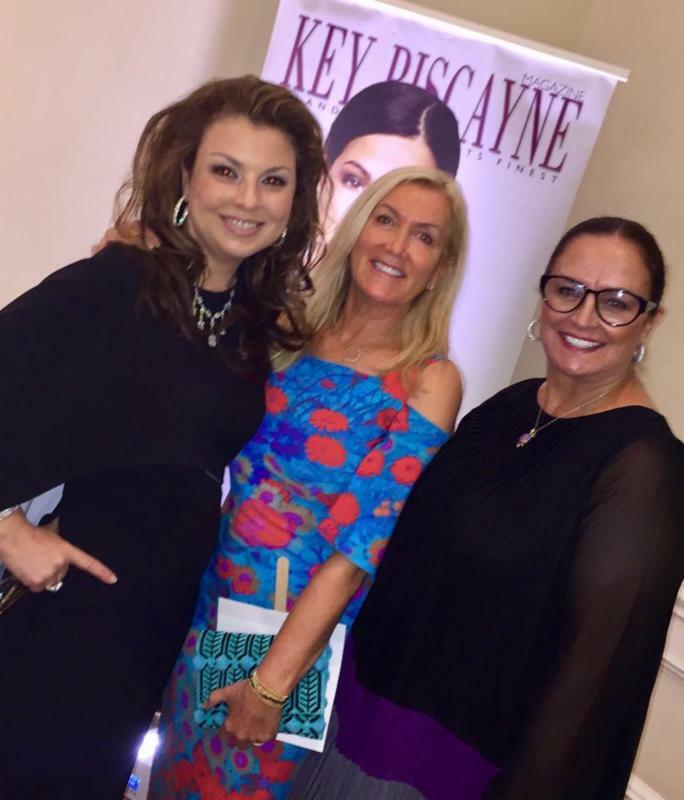 A total of 10 strong and successful women were honored that day, including Christina Termine, owner of Diamonds on the Key, in Key Biscayne, Florida, for her contributions and achievements in the Miami community and Trish Bell, who was awarded Woman of the Year. 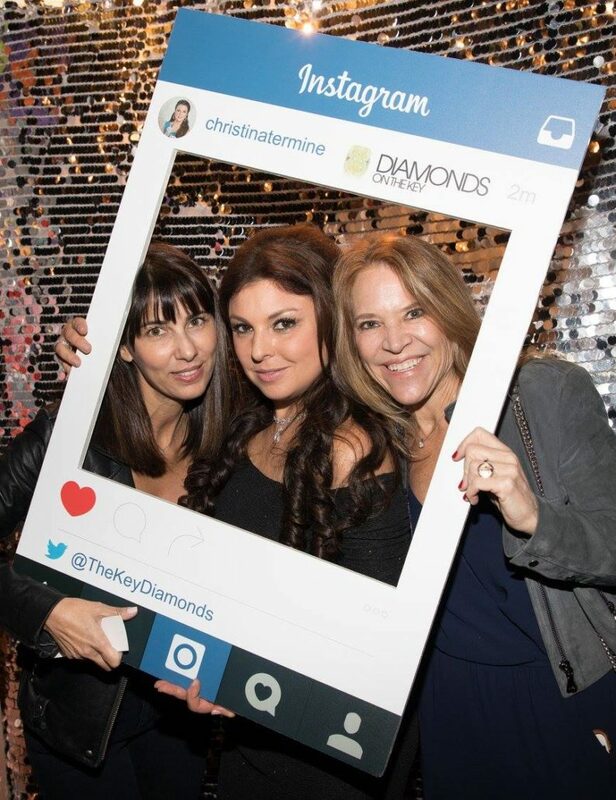 Click on the photo of Christina to be redirected to the Facebook Album with more photos! 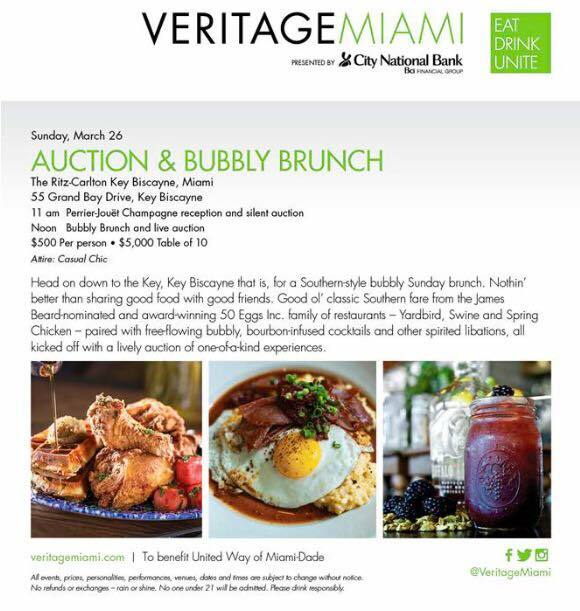 It was a pleasure participating and supporting the United Way at the Veritage Miami Bubbly Brunch on Sunday, March 26, 2017, at the Ritz-Carlton Key Biscayne. 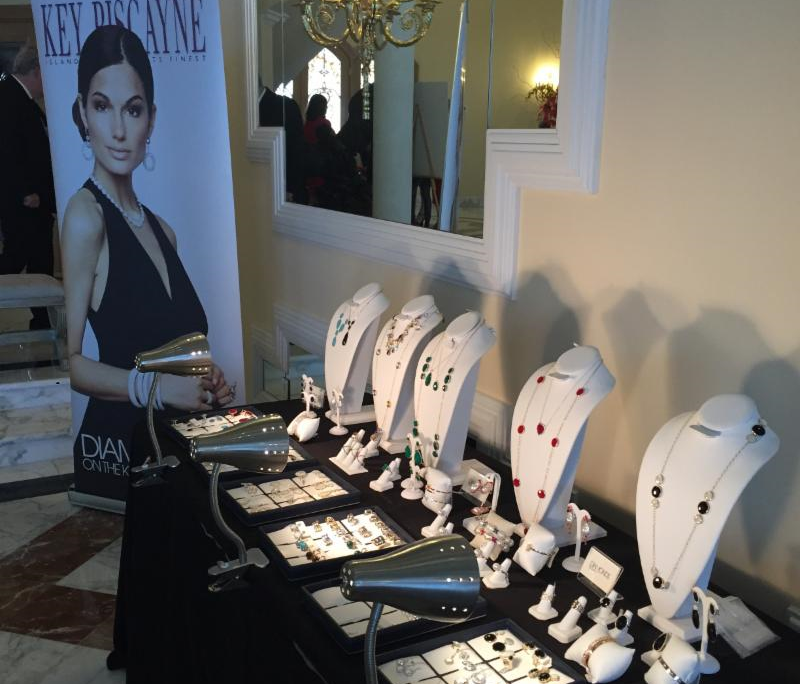 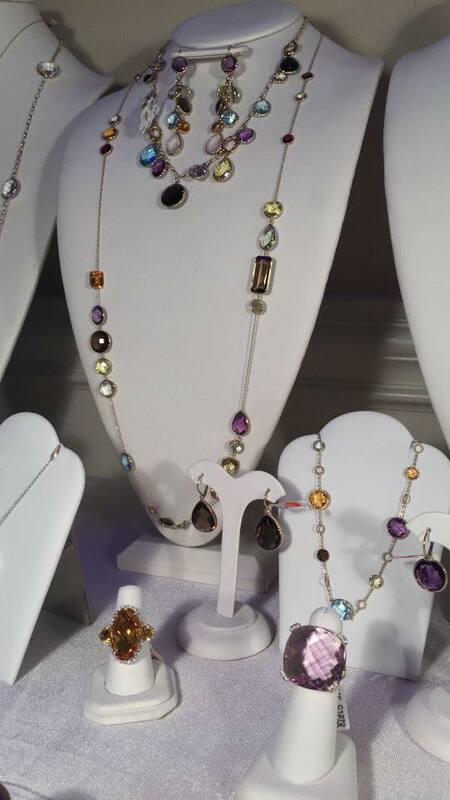 Generous purchases by attendees resulted in a record number of pieces sold and raised over $15,000 for the United Way!